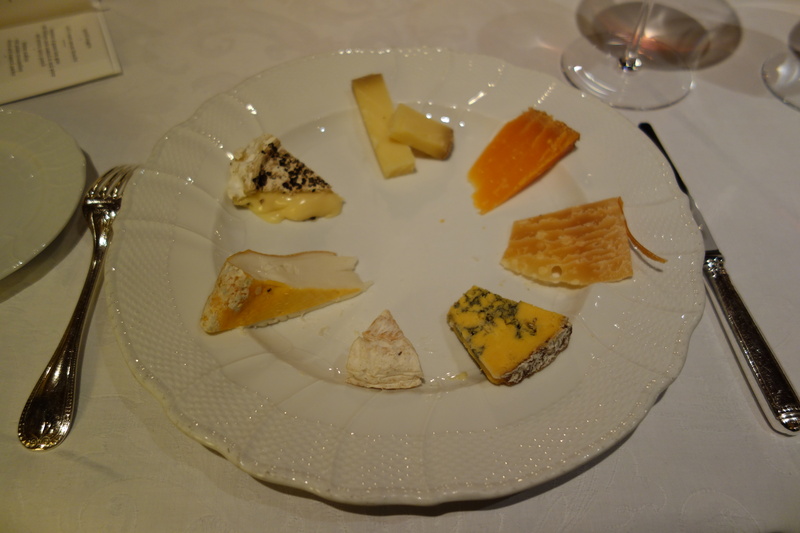 Germany rarely comes up as a destination dining country. For the traveller on a budget, this is probably for good reason. Sauerkraut, potatoes, dumplings and boiled fleisch, rarely sets pulses racing. 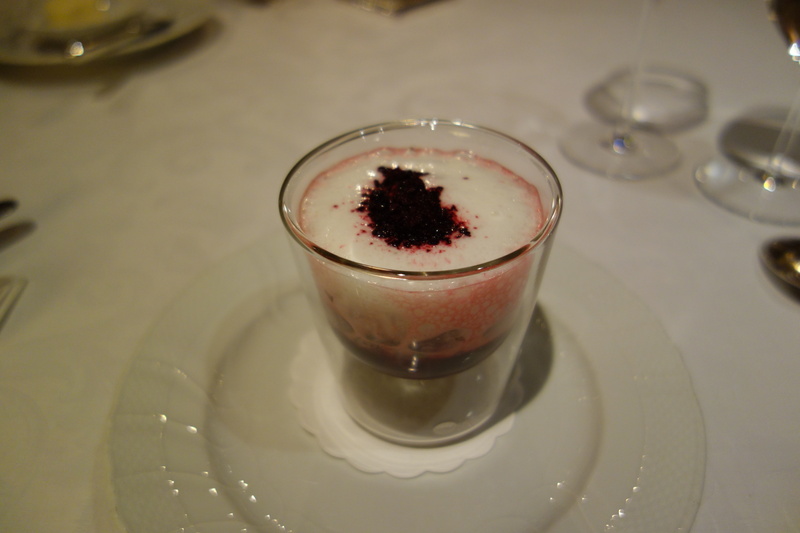 However, the German Black Forest is blessed with a number of multiple-starred restaurants. 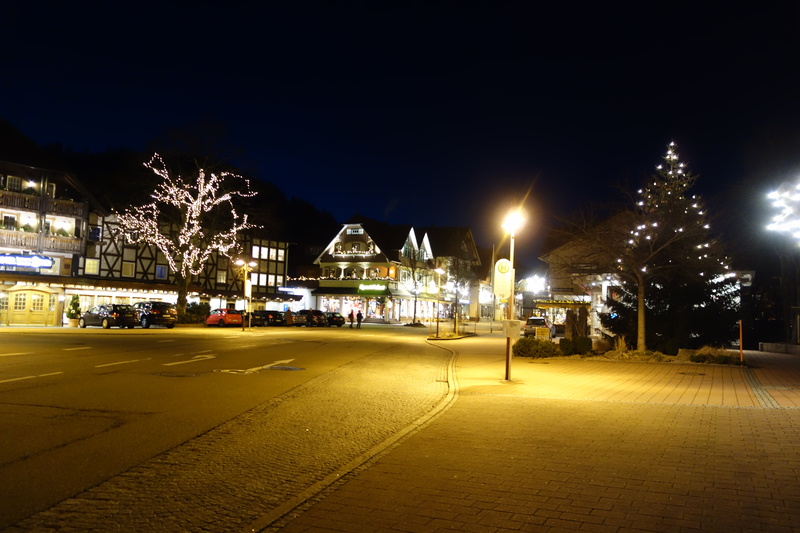 In the small village of Baiersbronn alone, there are two 3-star restaurants (Bareiss, and Schwarzwaldstube) and one 2-star restaurant, Sackmann. 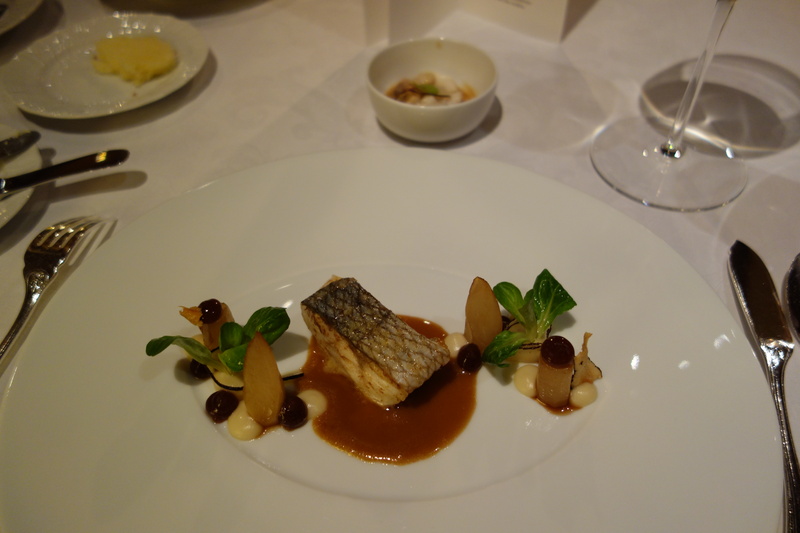 Germany has a total of 10 3-Michelin star restaurants. 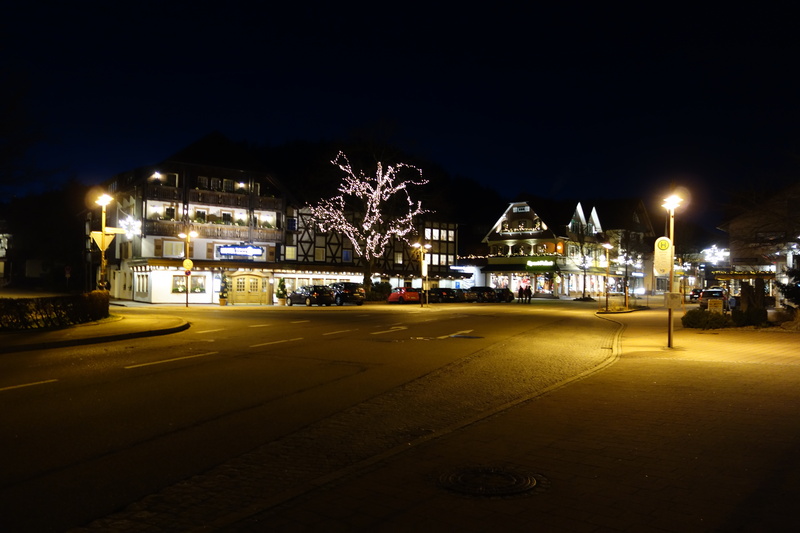 The two closest to each other are Bareiss and Schwarzwaldstube, located in the Black Forest town of Baiersbronn. For a village of 15,000 people, that is exceptional. 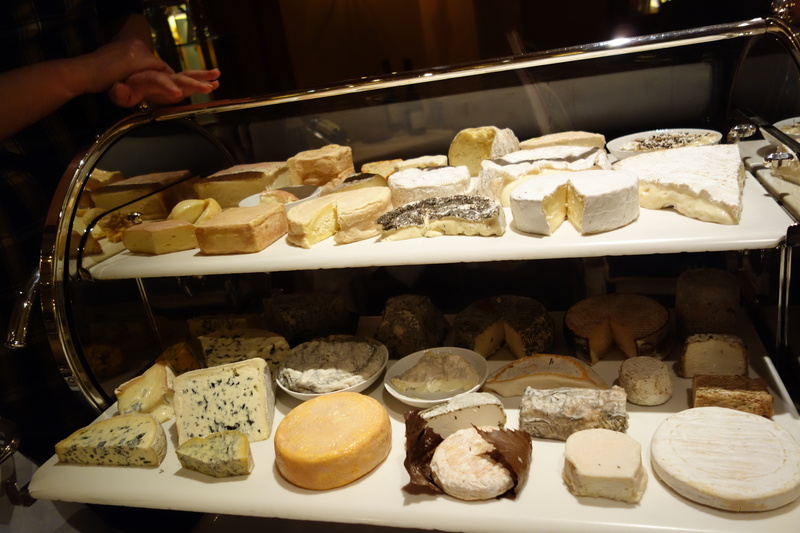 It bore remark from the New York Times in 2013, which has contributed to a trickle of Americans among the mostly French and German tourists to the region. These restaurants have generally been untouched by the international Twitterati and Instagram celebrities. 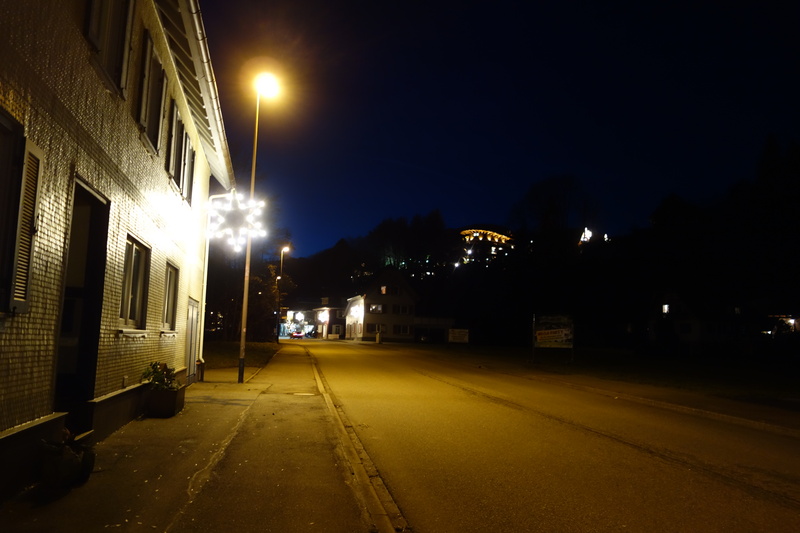 The Bareiss is a grand family-run hotel, with Hermann Bareiss (the patriach) still making the rounds to greet diners after every dinner. 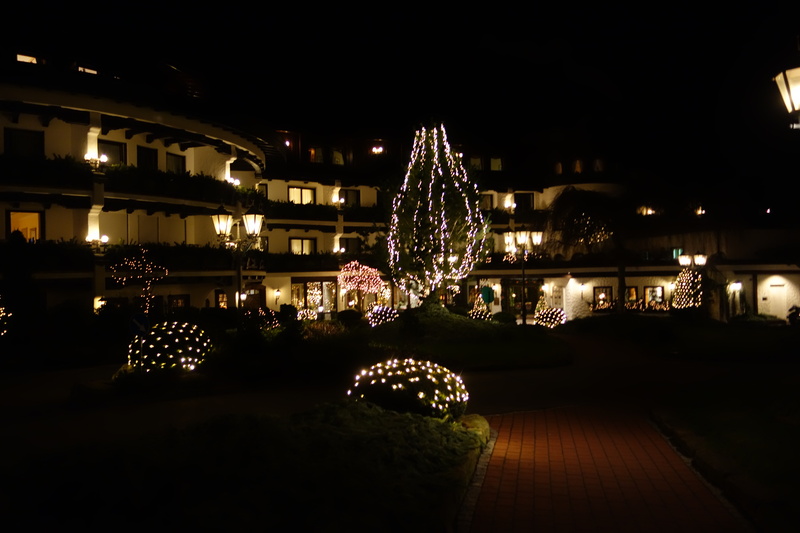 I liked this personal touch, and the pictueresque setting of the hotel was really beautiful, with twinkly lights strung up all over the estate during the Christmas season. 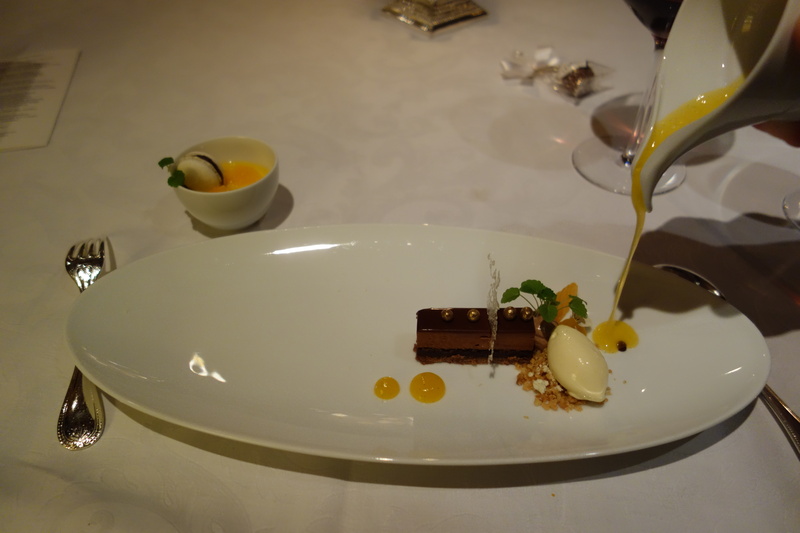 I had two meals there before Bareiss closed for the season, one a dinner tasting menu, and once for an a la carte lunch. 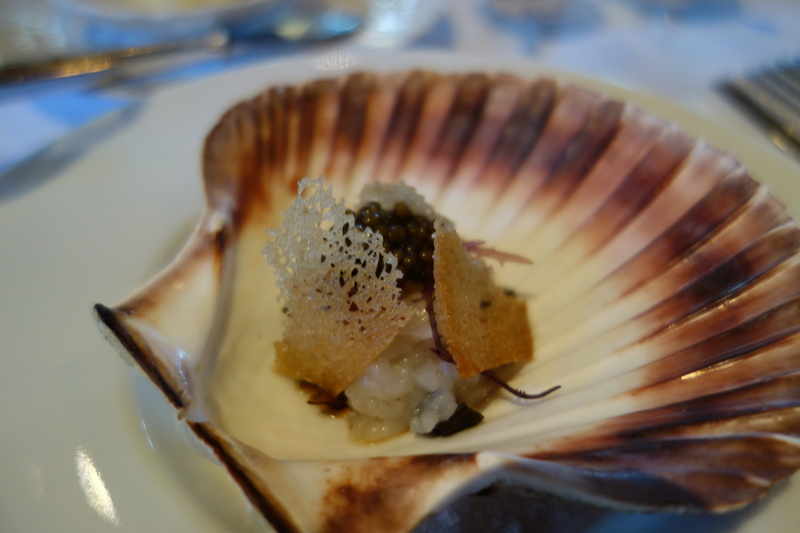 Bareiss’s chef Claus Peter Lumpp is a life-long member of the Bareiss establishment, having started his career there and generally spent most of his time there aside from a year staging at various 3* temples across the continent. 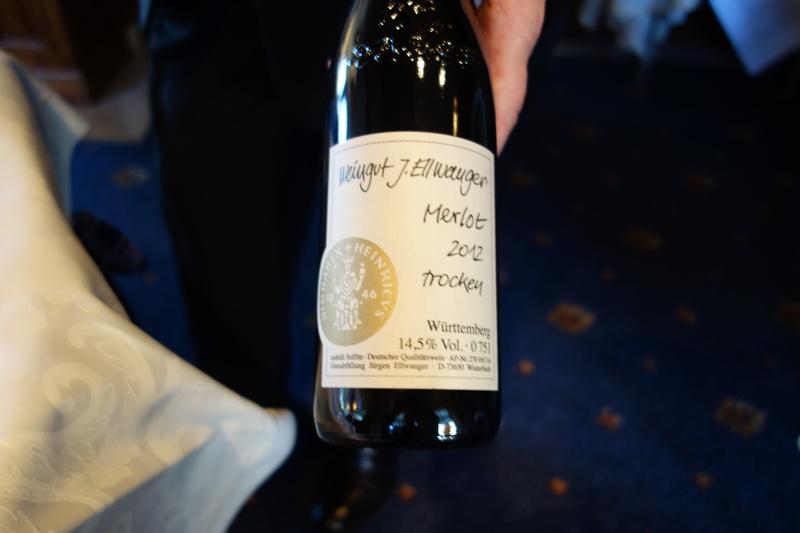 While The Fat Duck in Britain and elBulli in Spain were taking centre stage in the international gastronomic world in the mid 2000’s, quietly the gastronomic equivalent of a “Wirtschaftswunder” was taking place in Germany. 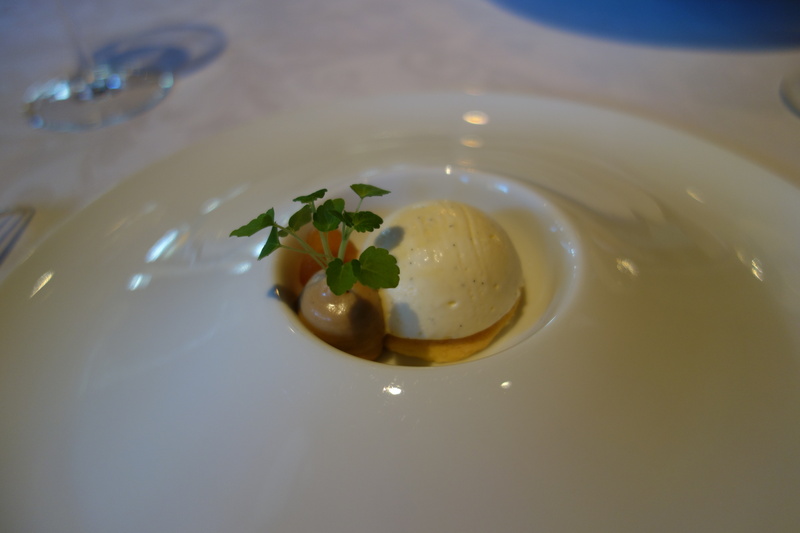 This “Wunder” started in 2004 (2005 guide) when Michelin appointed Joachim Wissler’s Vendôme in Bergisch-Gladbach as Germany’s sixth three-star restaurant. 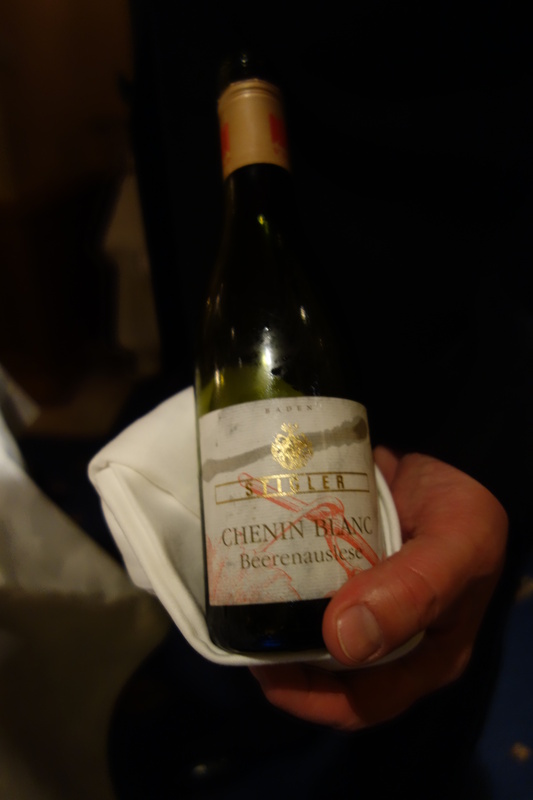 The next year (2006 guide) Christian Bau’s Schloss Berg in Perl-Nennig was admitted to Michelin’s top category and so was Sven Elferveld’sAqua in Wolfsburg in 2008 (2009 guide). 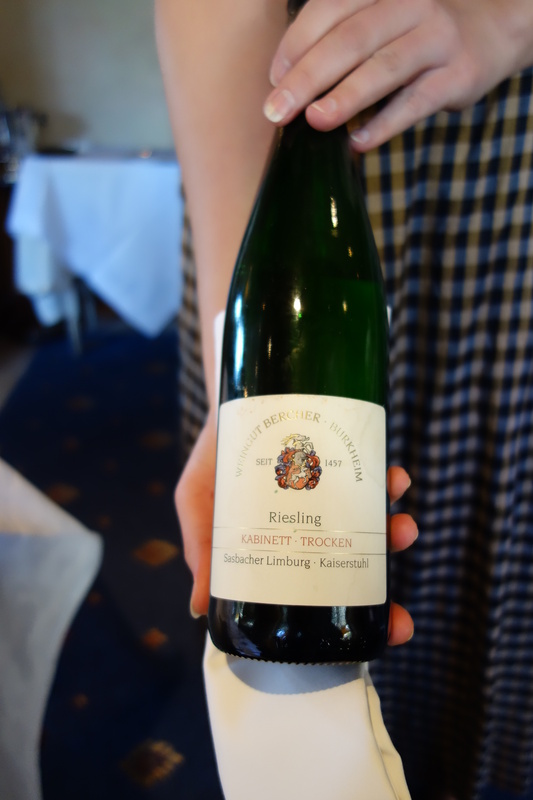 Most impressive however, was the historic three-star hattrick in 2007 (2008 guide), with restaurants Amador (then located in Langen), Gästehaus Erfort in Saarbrücken and Restaurant Bareiss in Baiersbronn as the new laureates. 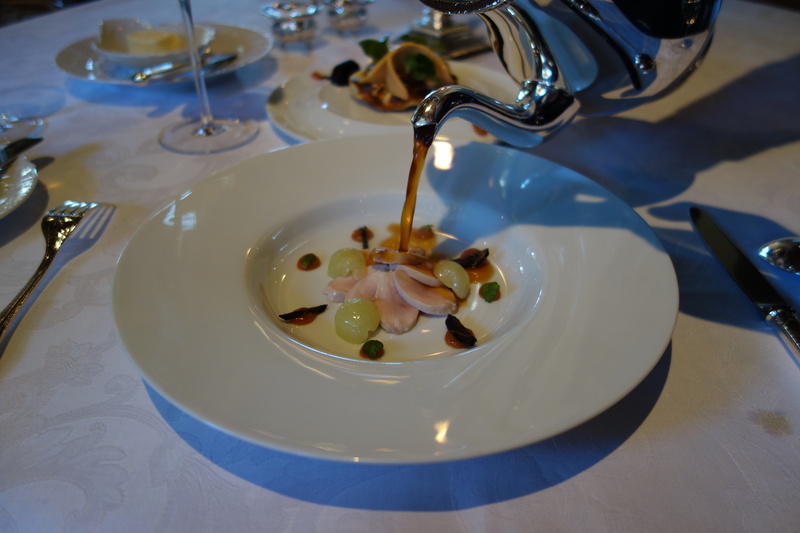 Germany currently has no fewer than 11 three-star restaurants. See this link for a full list. 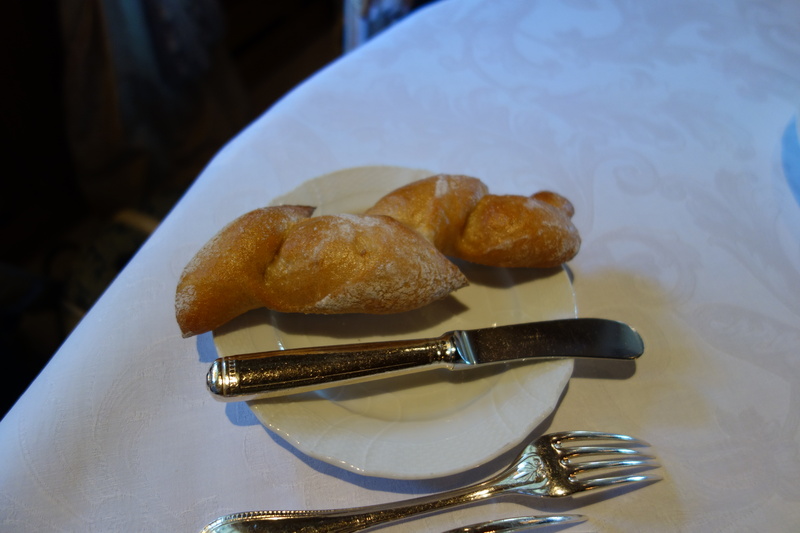 The cooking, both here and at Schwarzwaldstube, brought to mind an earlier era of French cuisine. 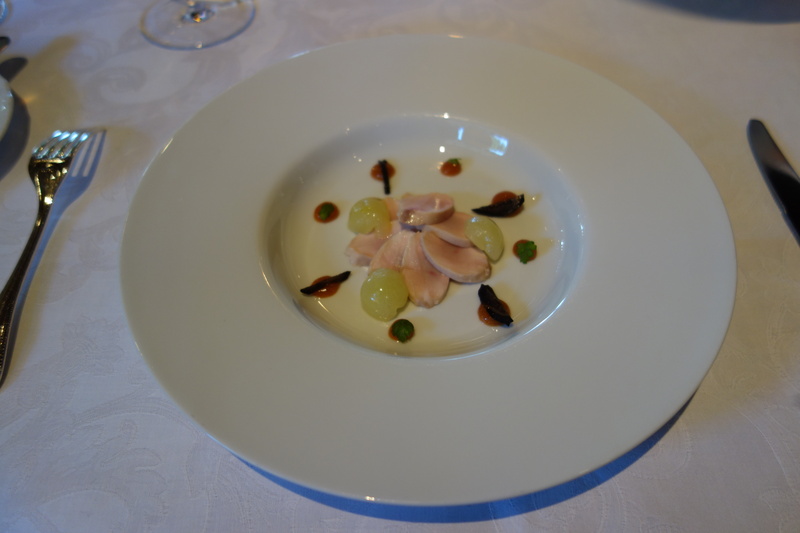 It doesn’t feel like nouvelle cuisine, but rather modern classic French cuisine – because of the classic and heavy sauces, with incredible terrestial ingredients in foie and game. 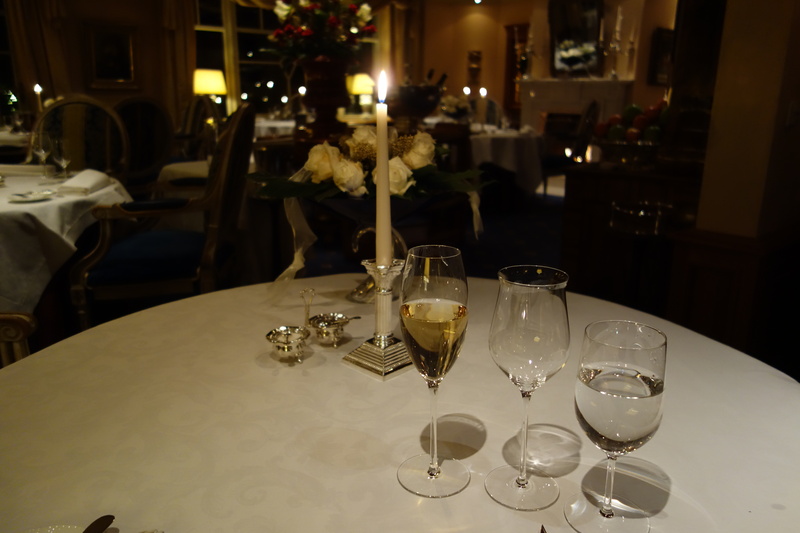 Bareiss is by far the more formal of the two, possibly because it is the “younger” restaurant measured by age at the three-star table. 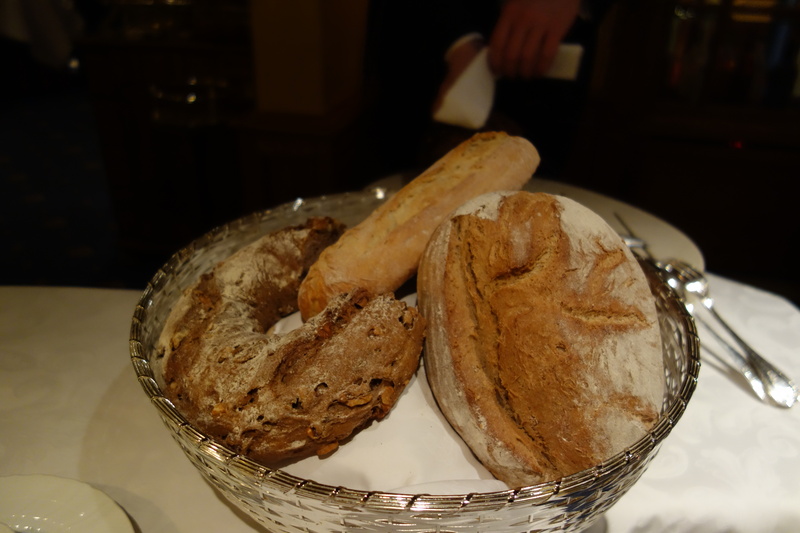 There are three features of Claus Peter Lumpp’s cooking that I like. 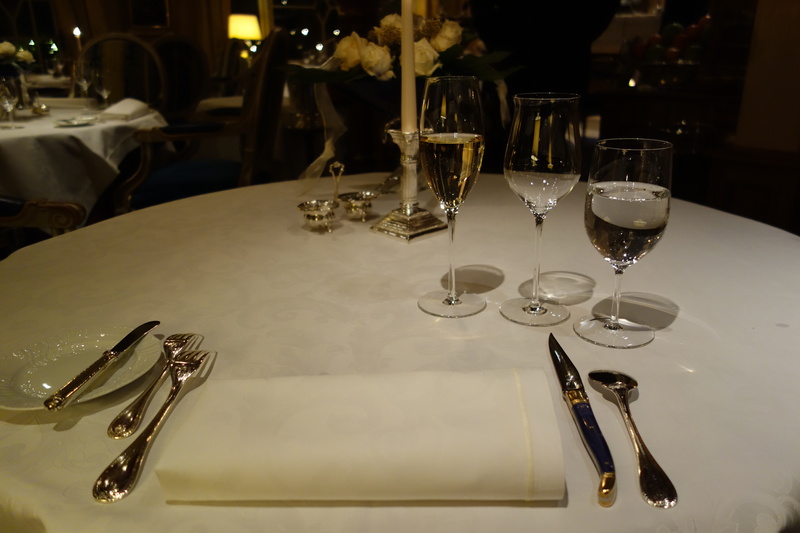 First, it is classical French, updated with innovative touches. 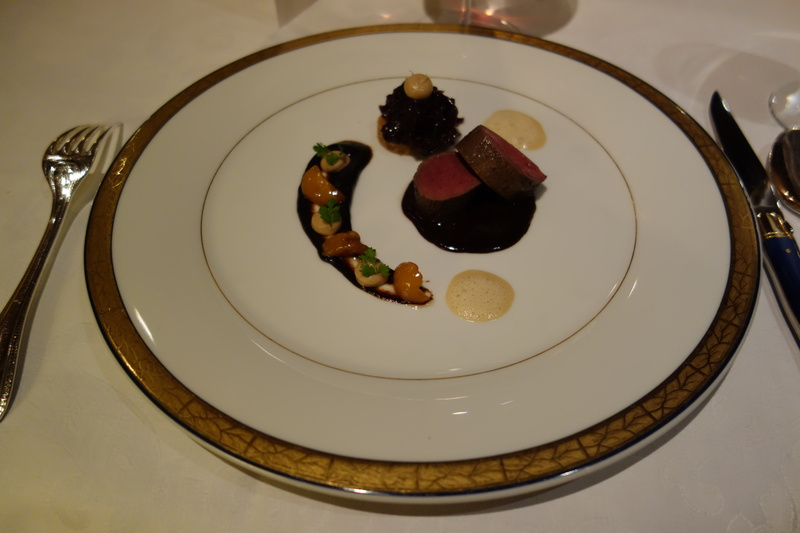 His cooking features the generous ingredients of foie, lamb, deer, chicken, all with heavy sauces. 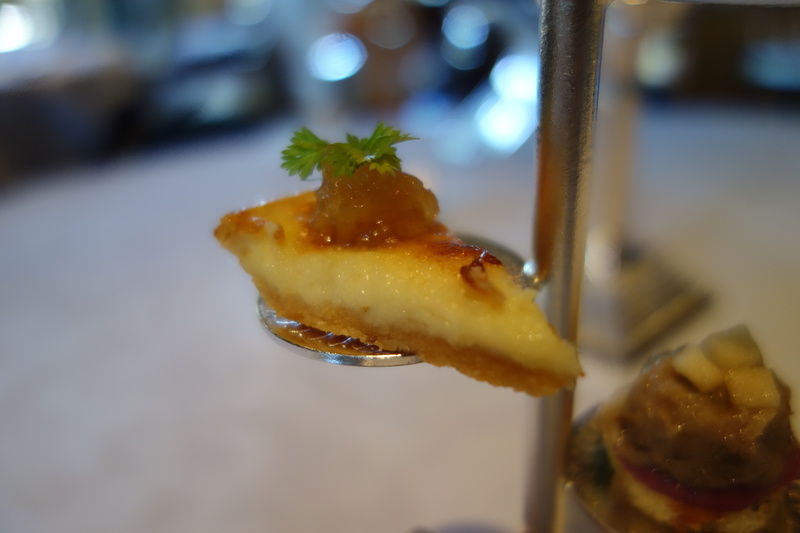 It is influenced by regional dishes (cassoulet, tarte flambee). In an age where chefs generally have a light touch, his take-no-prisoners style of salting and saucing is paradoxically and figuratively refreshing, and literally food-coma-inducing. The salt is really on the high side, though never unpleasant. 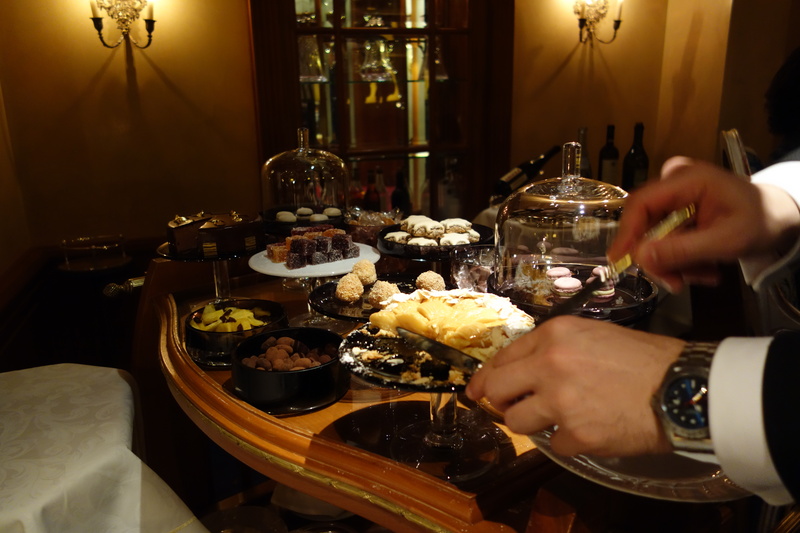 Second, the classical preparations are moderated by touches of fruit in his compositions. 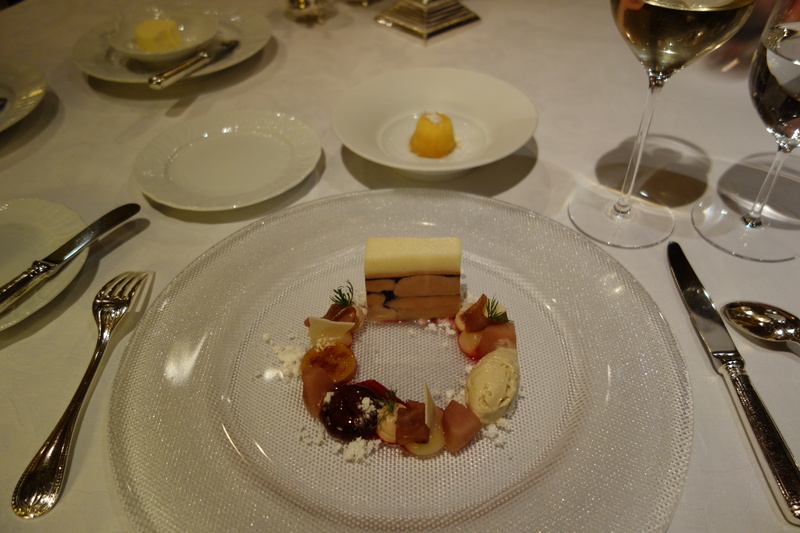 His red-wine-caramel and foie terrine, justly praised, would be a lot more heavy if it were not paired with Williams Pear. 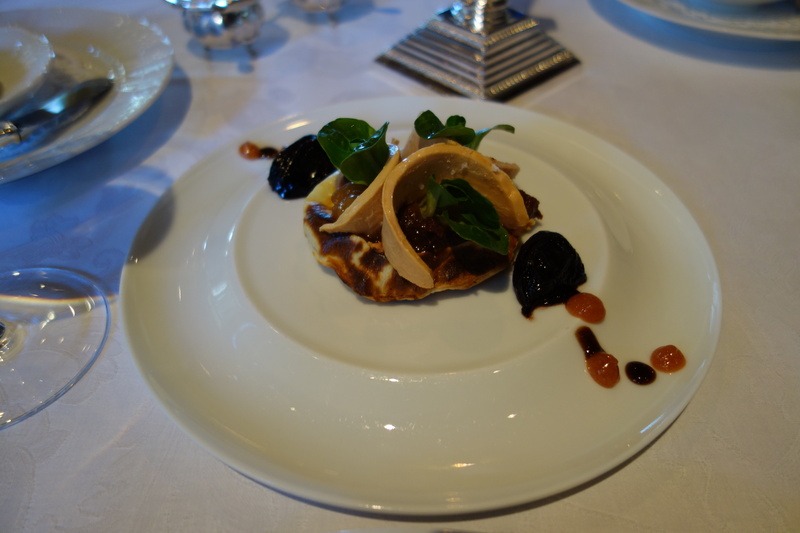 His tarte flambee has a delicious plum sauce. 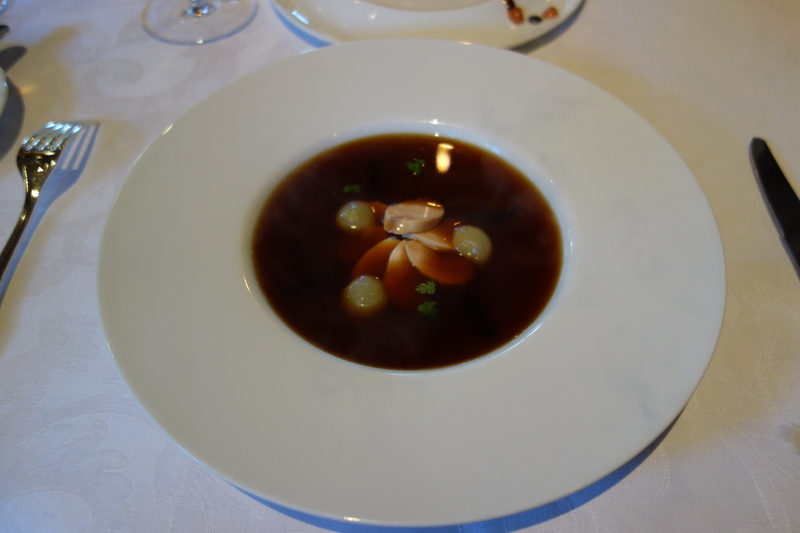 His pheasant soup has the crunch of unskinned grapes, his scallops have citrus, and the apple dessert is a marvelous assembly of apple textures. 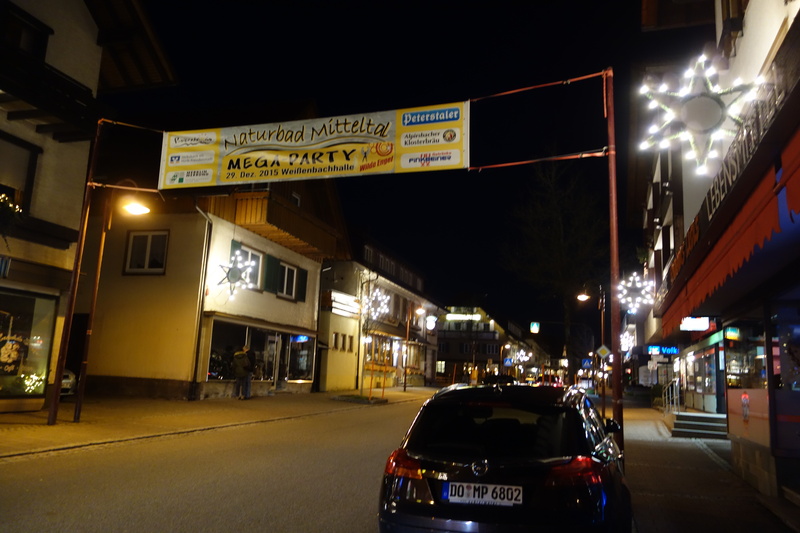 Thirdly, the preparations are exuberant. 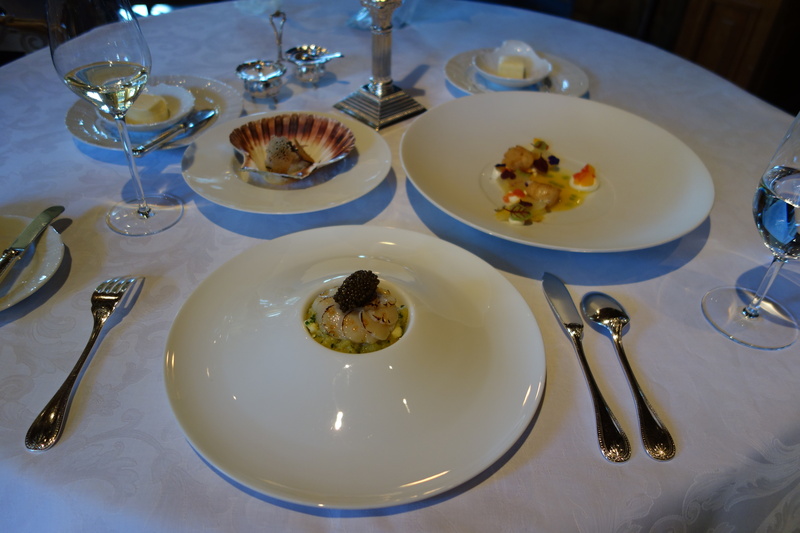 He prepares multiple variations on a theme, like Pierre Gagnaire, and allows the diner to try his different experiments. 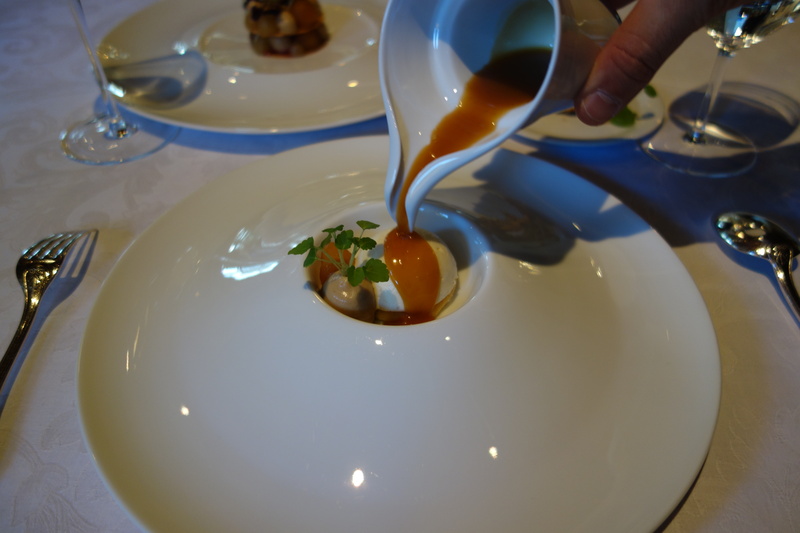 His dishes within a theme often don’t harmonize (they are separate dishes and should be treated as such), but it shows there is a highly creative mind at work. The weaknesses of his cooking are more minor. 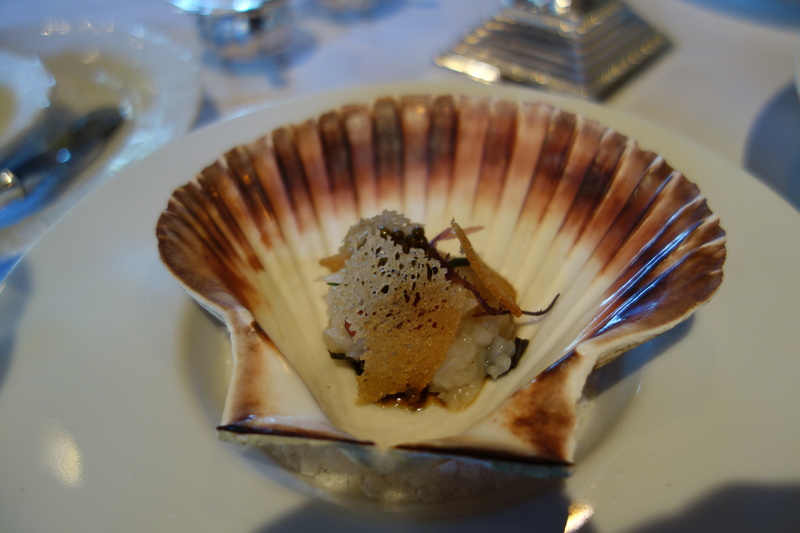 His Asian preparations aren’t all that – a Japanese tartare of scallops with soy and seaweed, or slices of lamb breast prepared with an Indian tandoori sauce, or a cold kingfish sushi served as appetizers, are obvious and in some ways “basic” interpretations of the Japanese and Indian style. 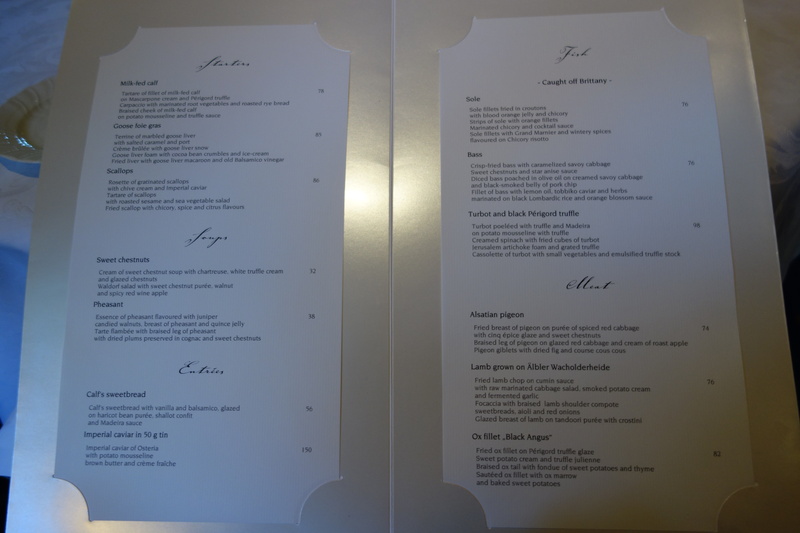 But this is to be expected of a restaurant which caters 90% to German and French on either side of the border, and 10% Americans. 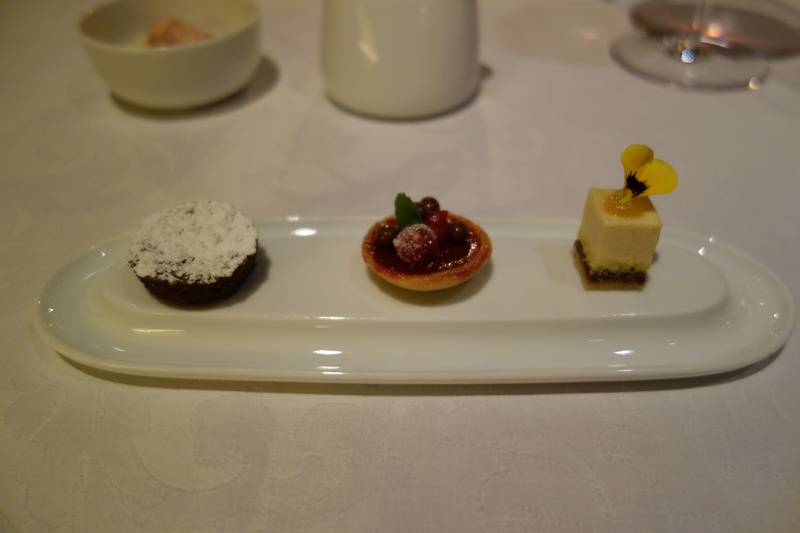 These dishes however are only on the a la carte menu, and apparent to repeat diners. 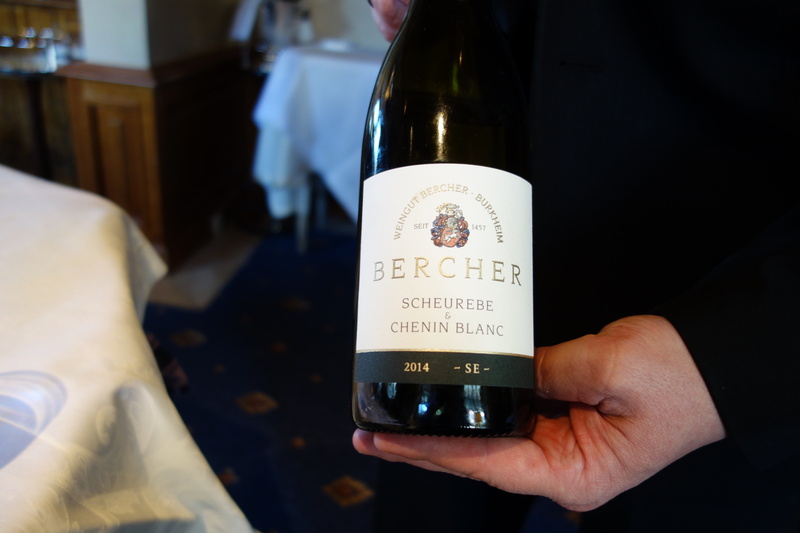 The wine service is well-led by Jurgen Fendt, one of the best sommeliers in Germany (he has represented the country three times at the Sommelier World Cup). 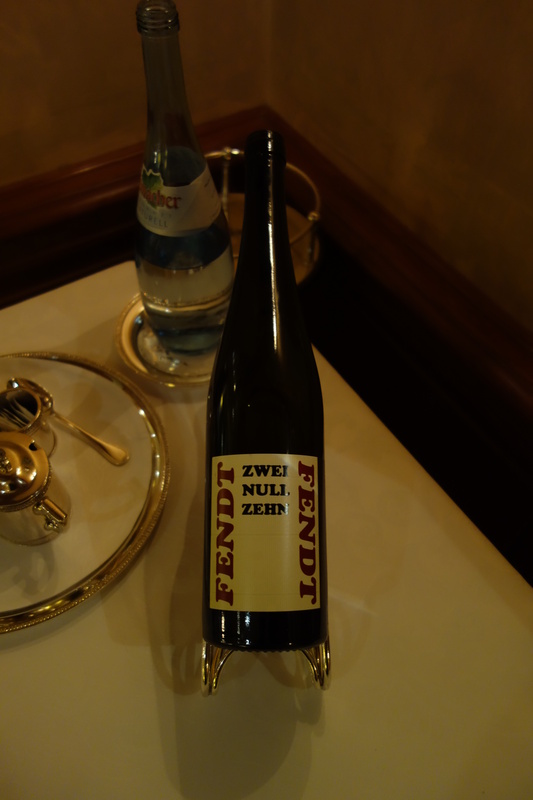 A selection of red wine from Fendt’s own vineyard was probably my favorite wine of all he offered me at Bareiss. 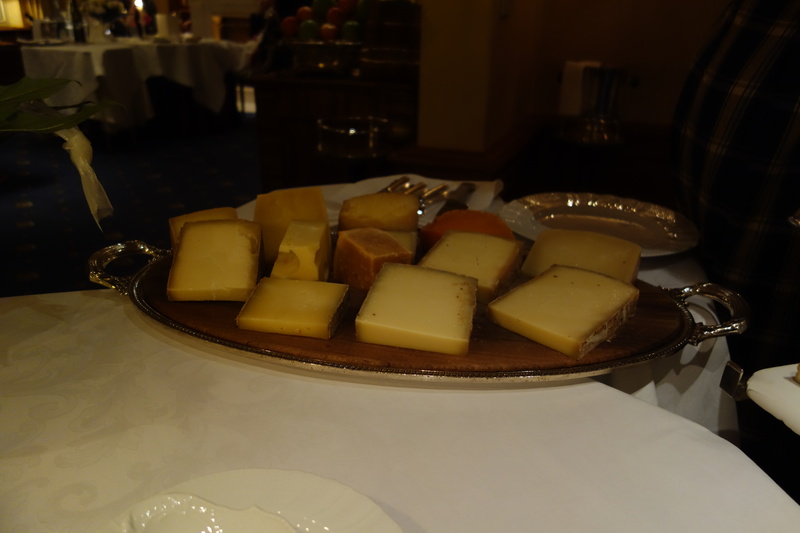 + Schwarzwaldstube has better cheeses, from M Bernard Antony. 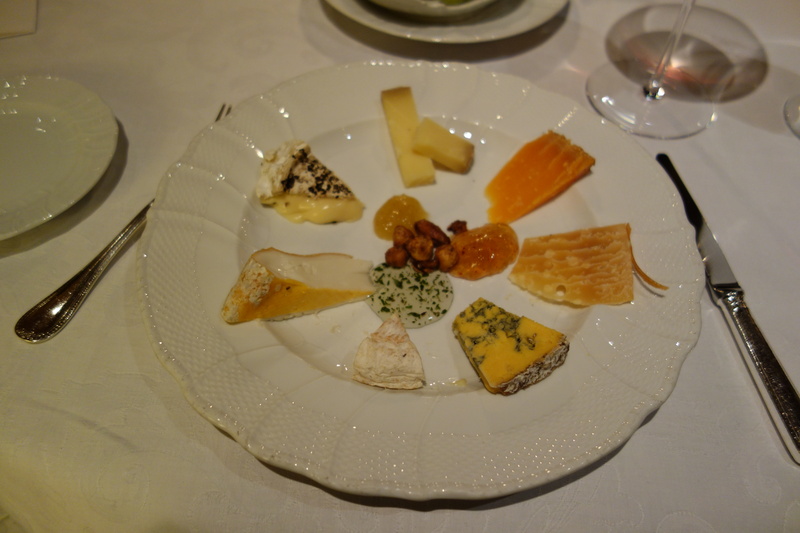 Bareiss’s cheese selection is very good (they served a variety of sauces and grapes) but in excellence Schwarzwaldstube is more consistent. 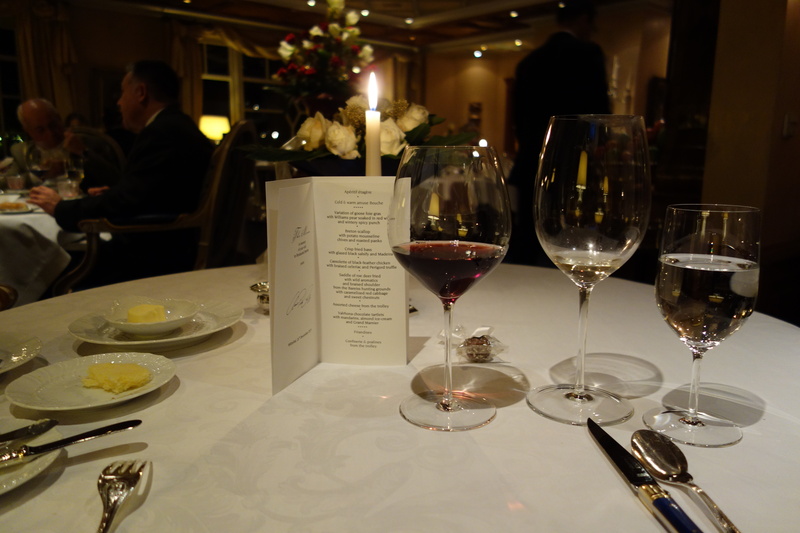 + The service is more formal at Bareiss, surprisingly Schwarzwaldstube has a younger serving crowd. 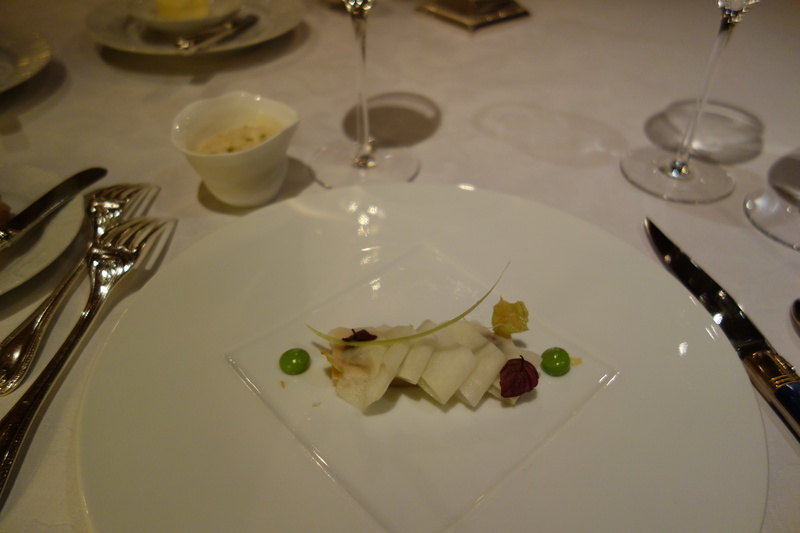 Kingfish sushi – not bad, though served cold (with a sweet starch and long sour aftertaste). 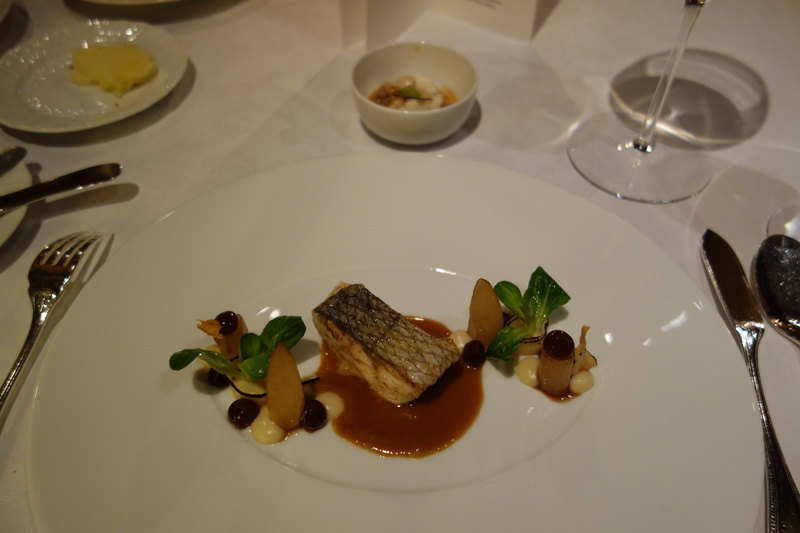 Kingfish AKA Mackerel doesn’t have Japanese name as far as I know. 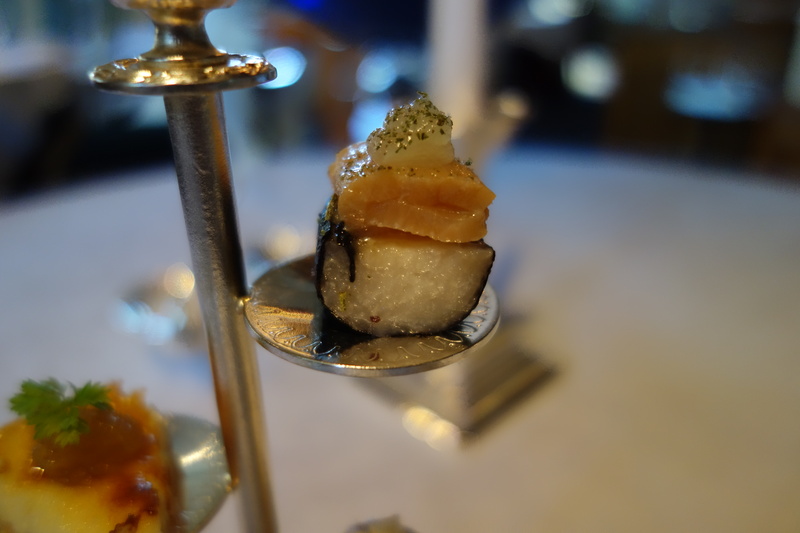 It was nothing like Japanese sushi, though I found it commendable that they tried and prepped the rice. 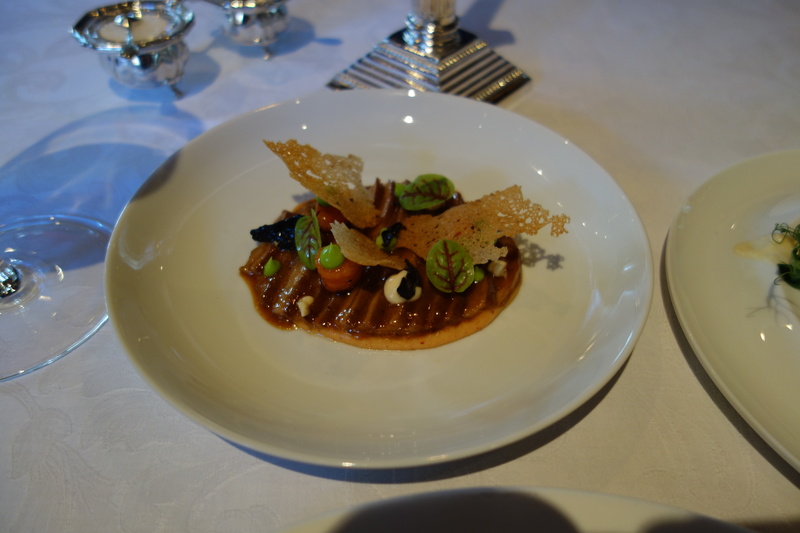 Fig and chestnut tart – Had a complex and satisfying taste with something piquant, maybe cinnamon. 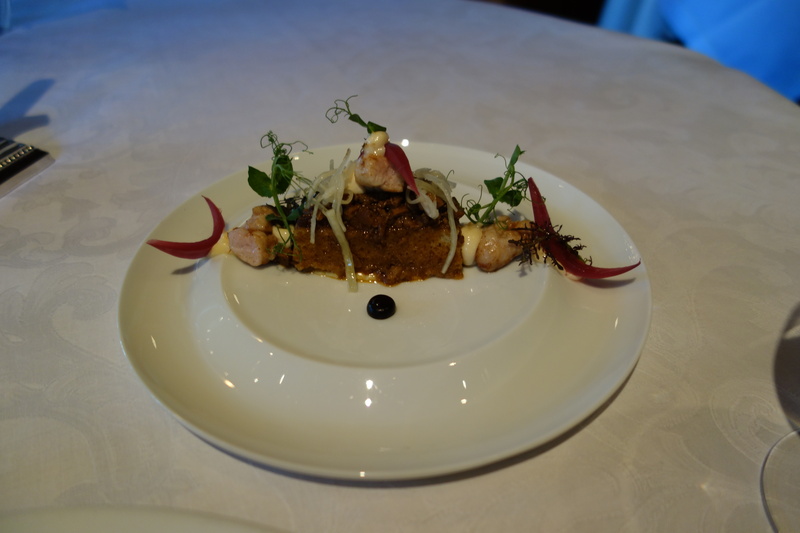 The first two courses were a study in spiciness, not a common accent in French food. The German Kohlrabi has a sharp, unpleasant, bitter taste when cut raw, similar to raw onion. 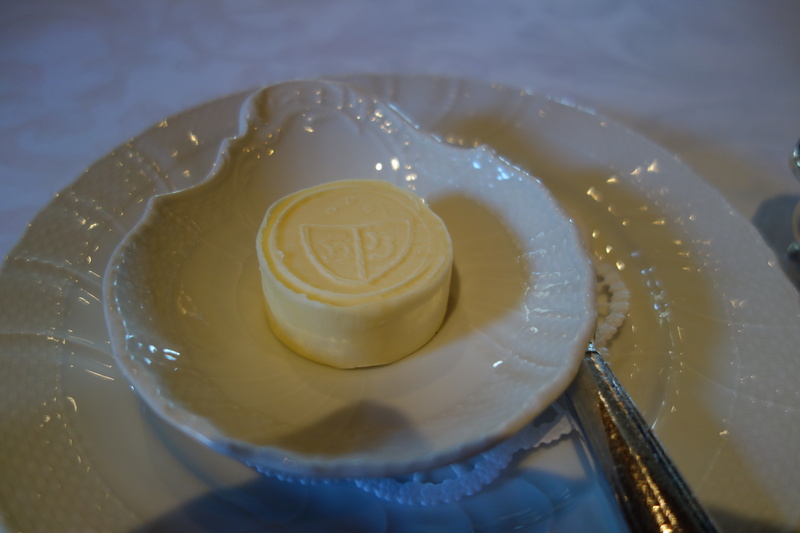 A butter sauce helped soothe it. 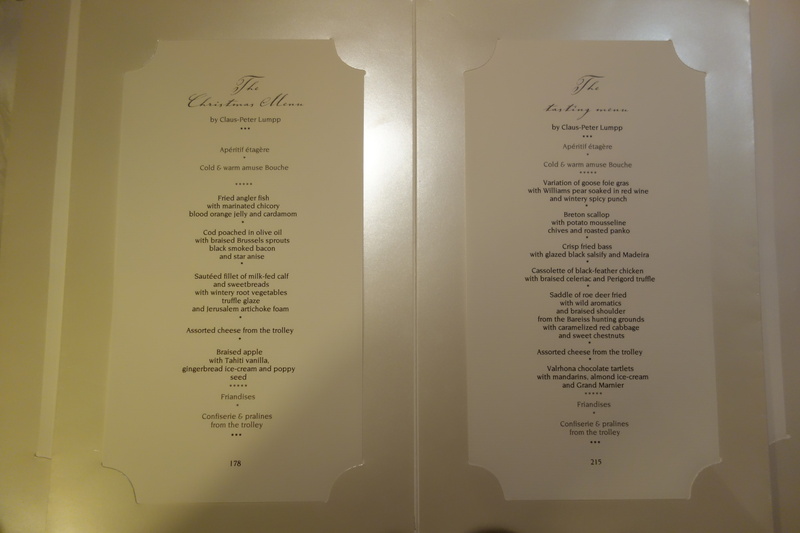 It was an ebb and flow of discomfort, but not my favorite dish. 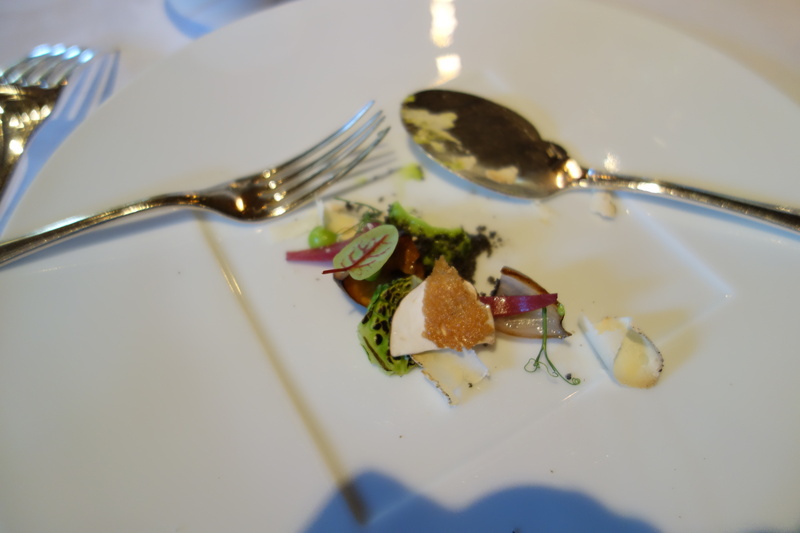 This was a world away from the sugary kohlrabi I had at Blue Hills at Stone Barns. 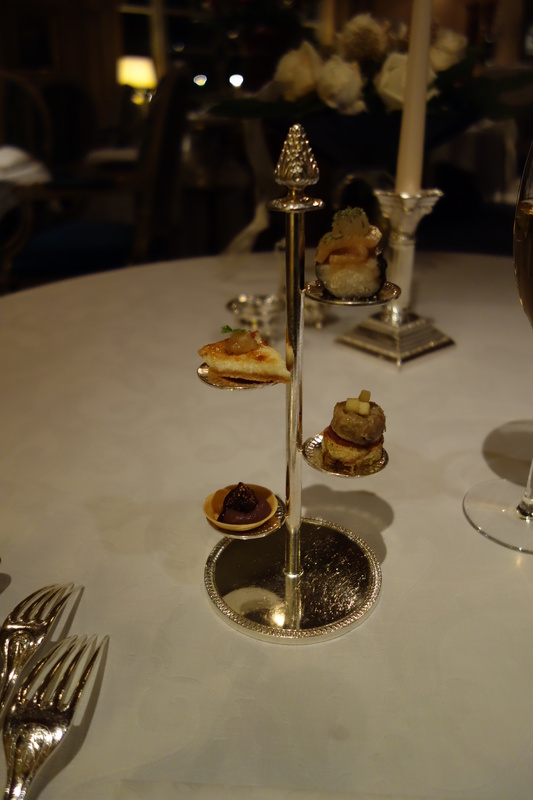 This was served as an amuse. It was shocking. 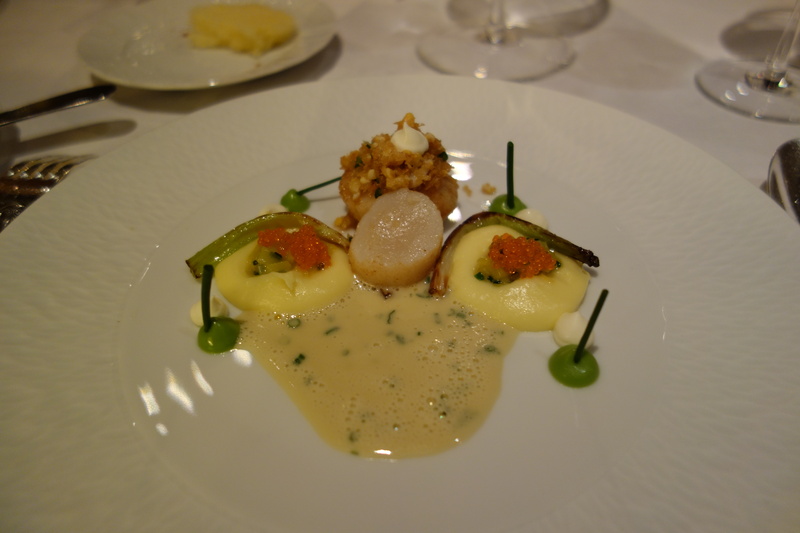 It looked like a typical nouvelle cuisine dish, elegantly constructed. 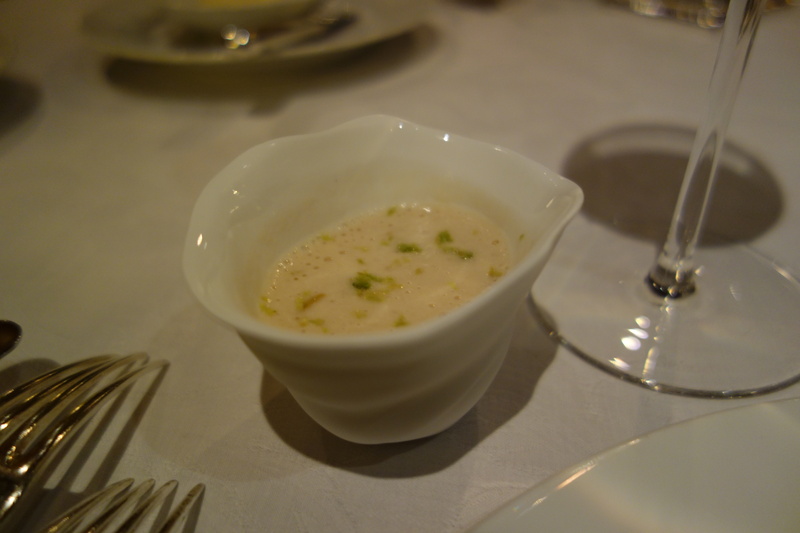 But an intense horseradish kick broke the rules of engagement – no spiciness! 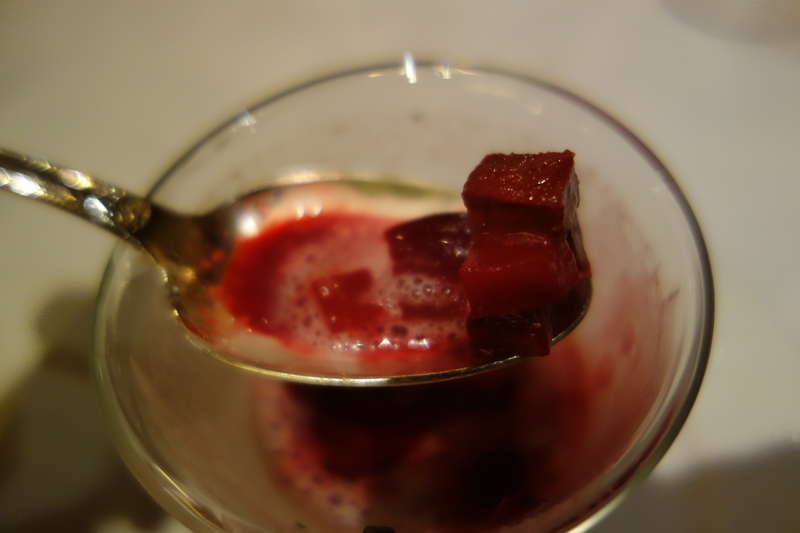 The sauce was at first sweet from the beet juice, and transitioned to savory as it began to resemble a veal red wine sauce. It was a “three-body” sauce, orbiting spicy, sweet and savory until it vanished. Superb. 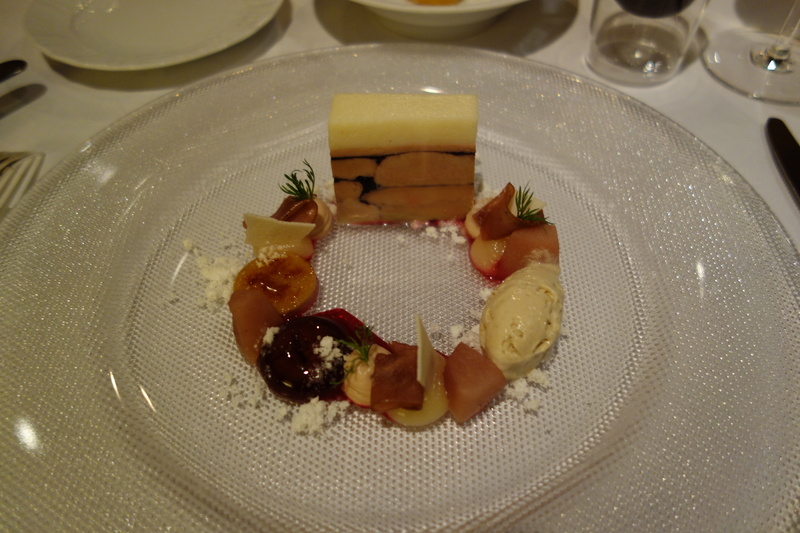 First plate: foie terrine with red wine and caramel jelly, with a pear sponge on top. 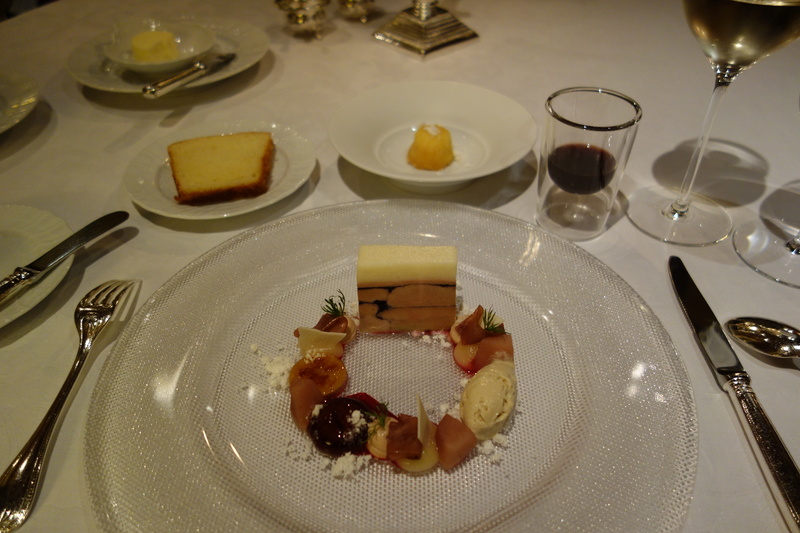 Various preparations of pear with foie, including cream, ice cream. 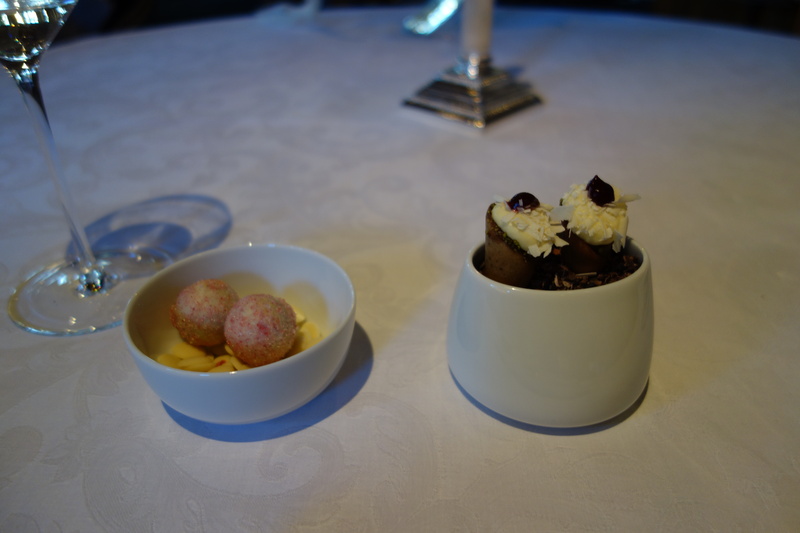 Second plate: Kugelhopf with foie cream. Drink: wintery spicy punch. A perfect expression of the generosity of the season. 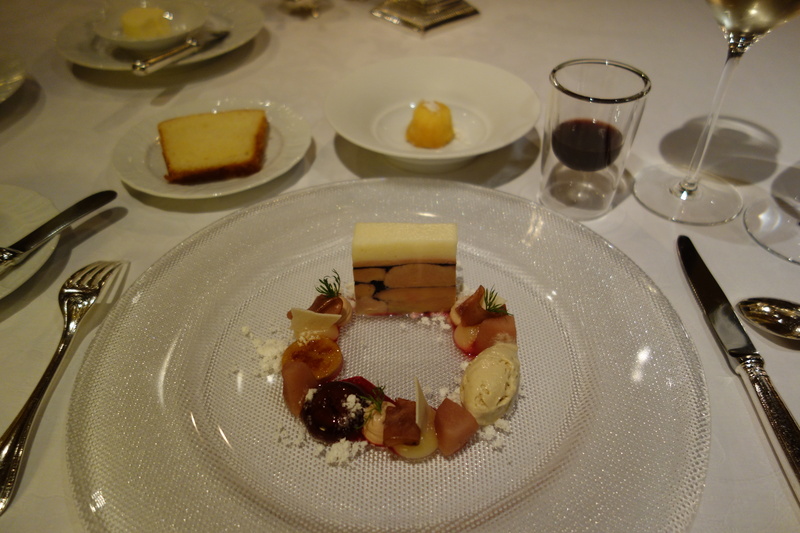 Fruity, rich, the red-wine-and caremel jelly between the lobes of foie in the terrine were the best part of the trio of dishes. 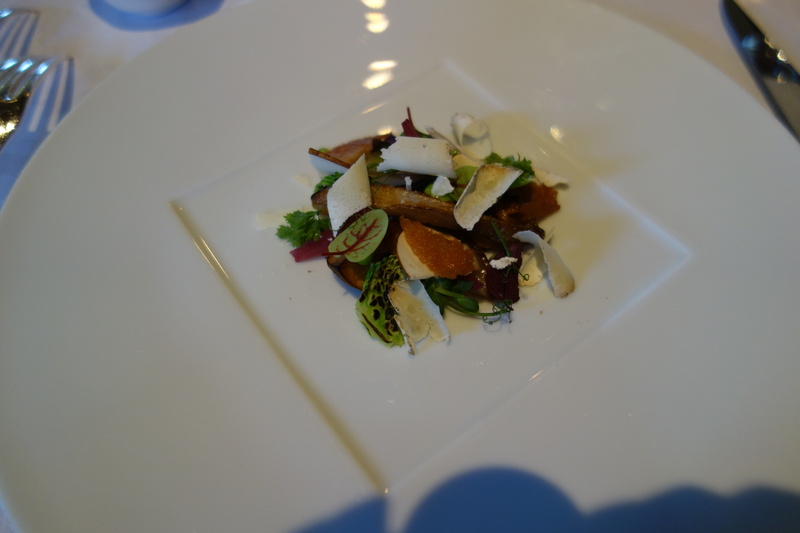 This was what I had come for – classic cooking that was innovative without resorting to molecular tricks. 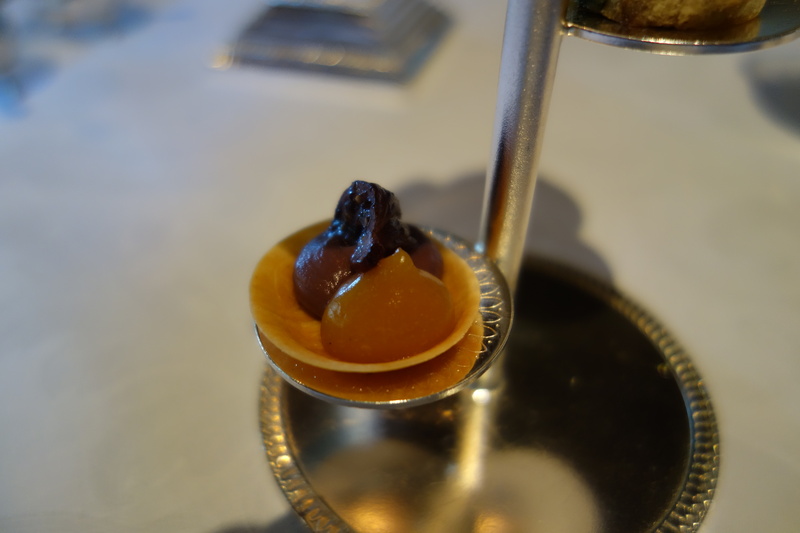 The red wine and caramel jelly has to be tasted to be believed, it is a perfect accompaniment to the foie gras. 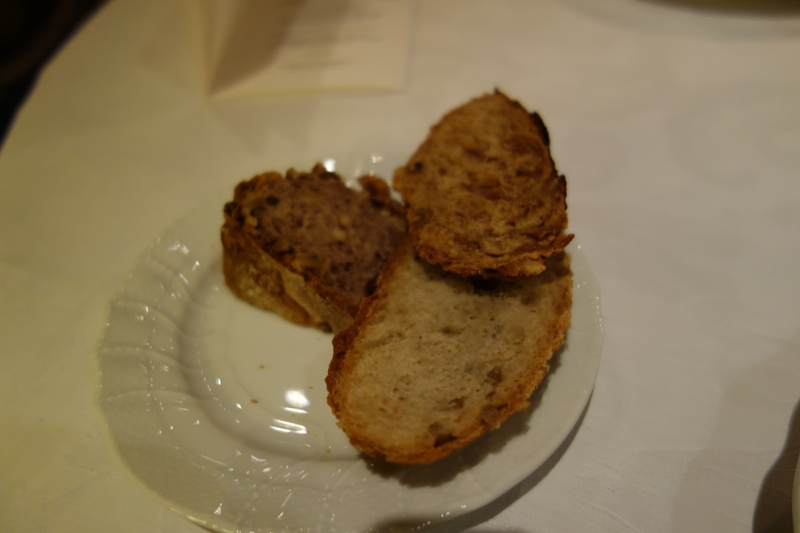 Fully understandable how this is Lumpp’s signature dish. 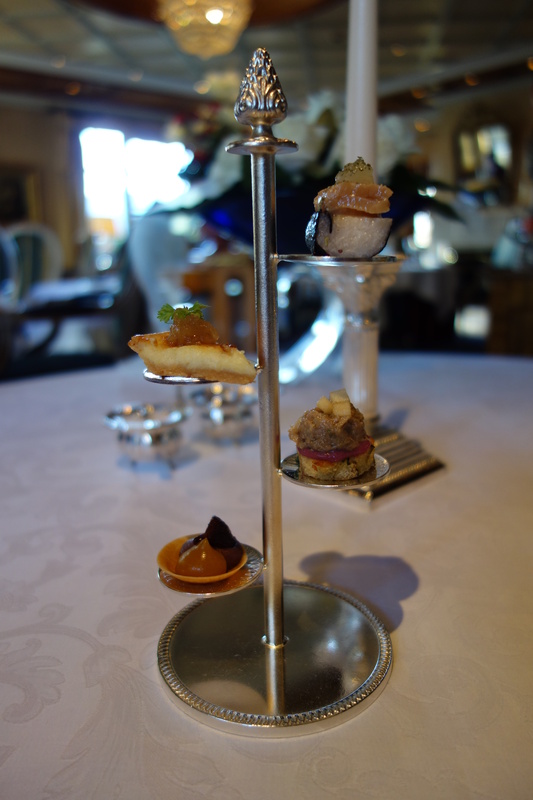 The foie terrine is served with different accompaniments according to the season. 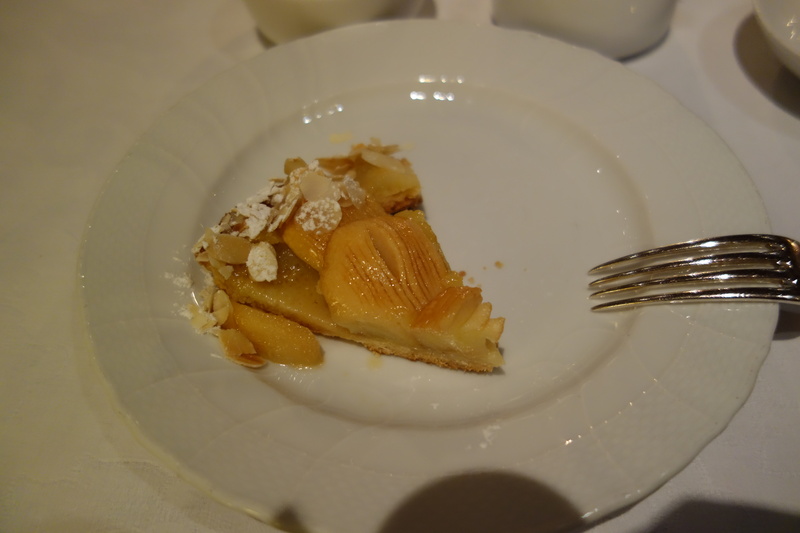 This season, it was Williams pear, the fruit element of which lightened the dish. 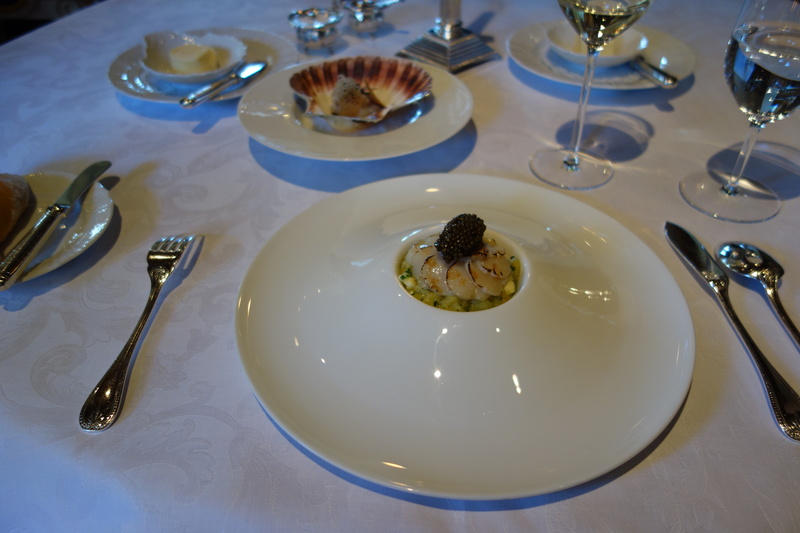 I thought this was a really fantastic and classical tasting dish. 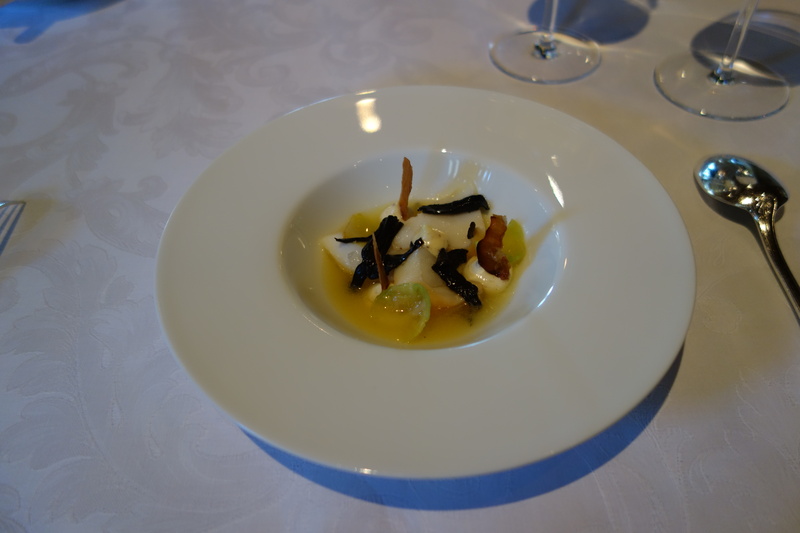 Clearly, no one comes to the Black Forest to taste hand-dived scallop with its unique crunchiness. But the sweetness of the scallop was excellent, served with fried garlic, mashed potato, togarashi (flying fish roe), and a rich sauce. Very little could be improved. 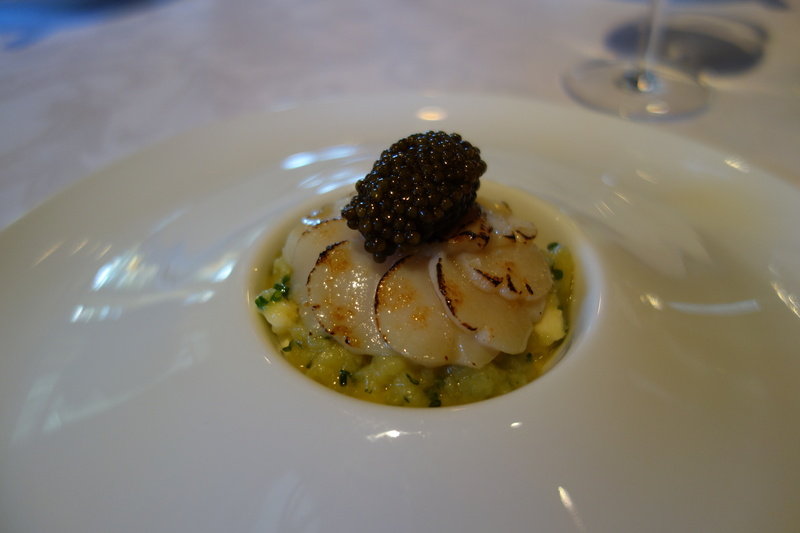 These scallops were twice-weekly deliveries from the Brittany from a dedicated fisherman. 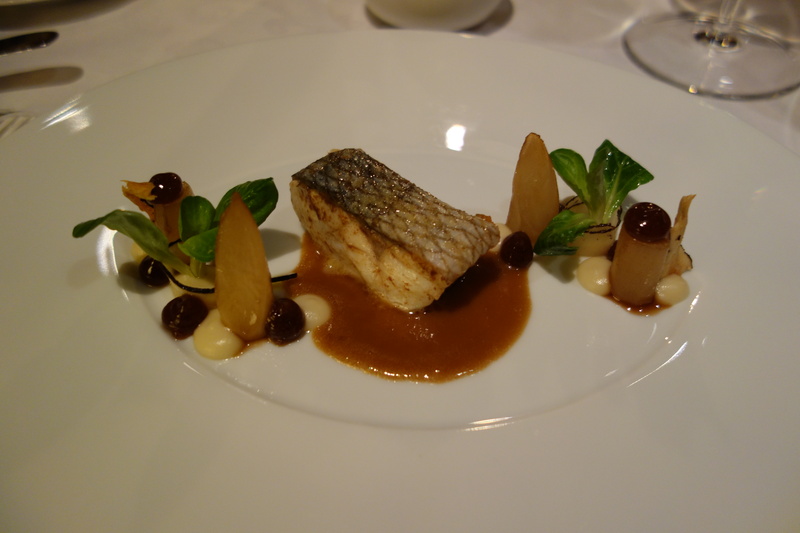 This was served with a second preparation: Bass ragout in a tomato-based sauce. 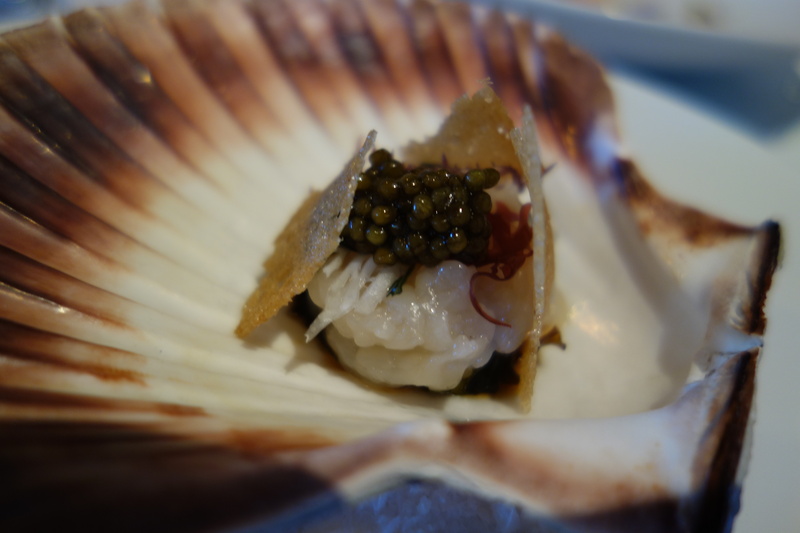 The first preparation had a skin crisped to perfection, thinner than paper. The technical merits of this were very good. 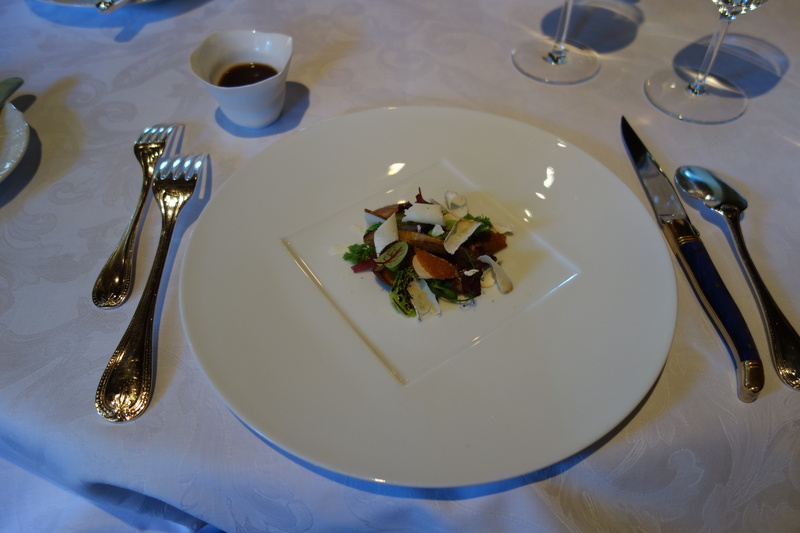 The ragout was a bit less interesting, though delicious in its own right. 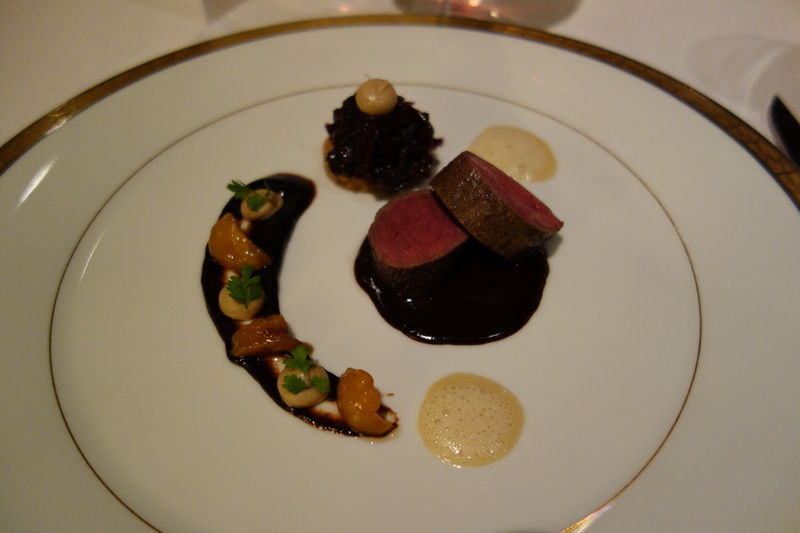 The deer was classically excellent. 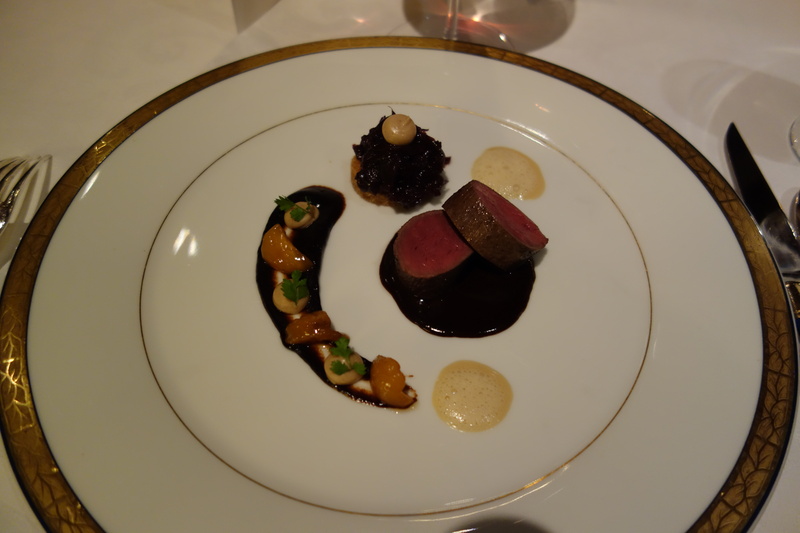 The saddle of roe deer possessed a crumb of bitterness., but it represented a welcome break from the train of dishes with savory sauces, because the sauce was predominantly sweet and featured sweet chestnuts. 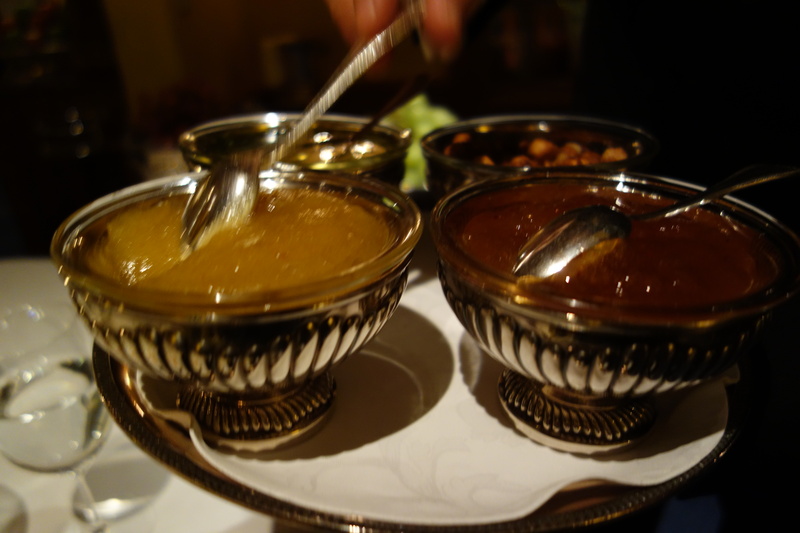 The combination, while not as strong standalone (because who naturally craves a sweet sauce with protein for a main? 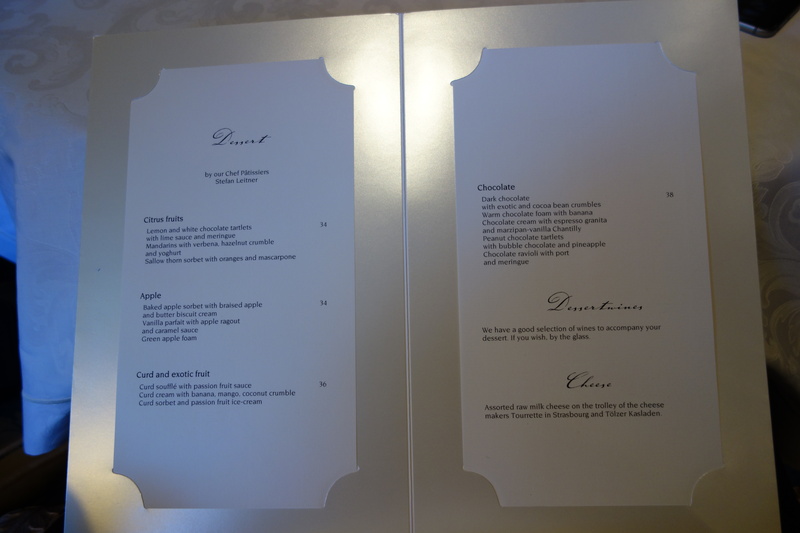 ), was an intelligent progression in the menu. 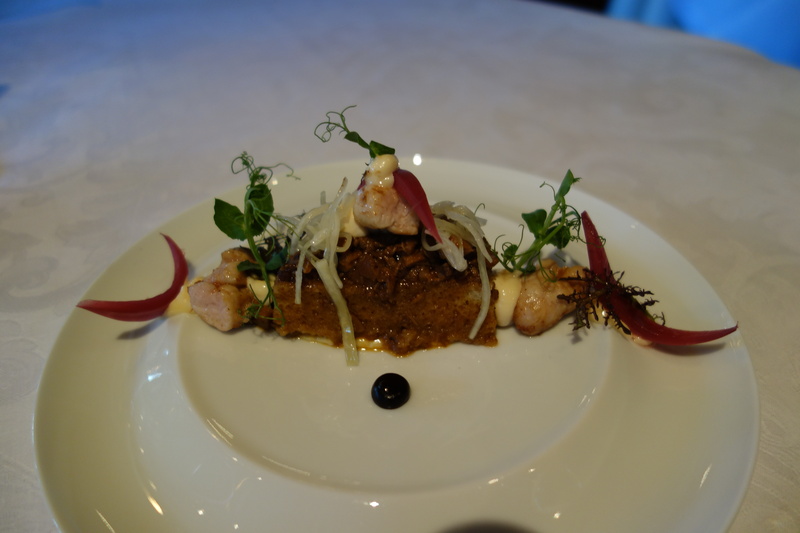 The braised shoulder of the roe deer was heavily stewed, a sweet heap of meat in the style of Mexican pulled pork or Singaporean rendang. 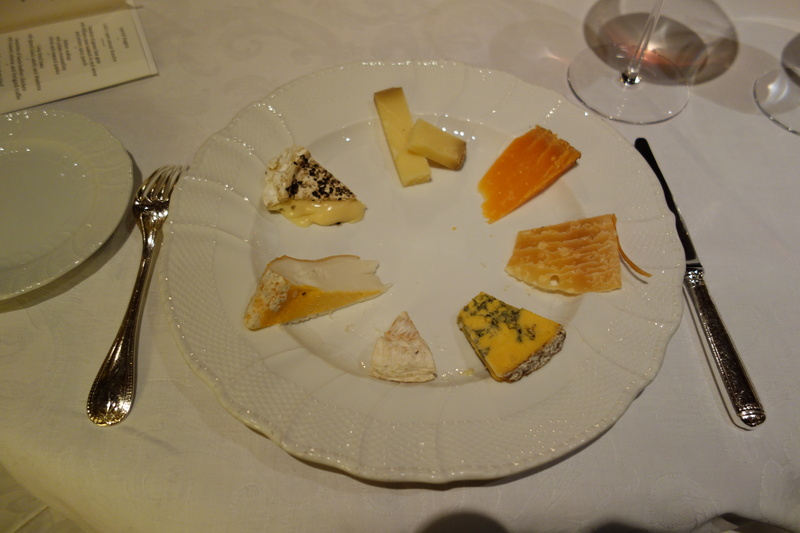 Highlights were (1) 36 month aged Gouda, (2) Shropshire blue, as well as (3) petit fiance cheeses. 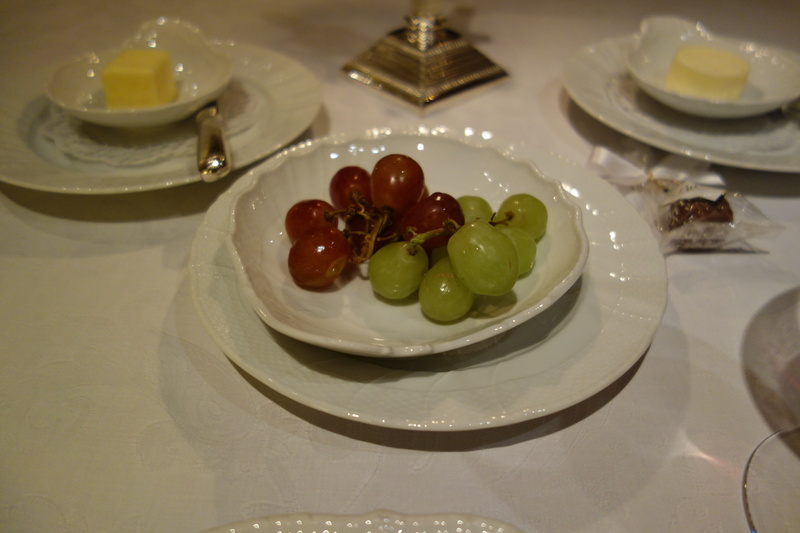 They were served with grapes and various jams, in the overwhelmingly generous fashion that characterizes the more classic and out of the way country-side 3* restaurants. Vanilla nougat macaron, Grand Marnier custard. 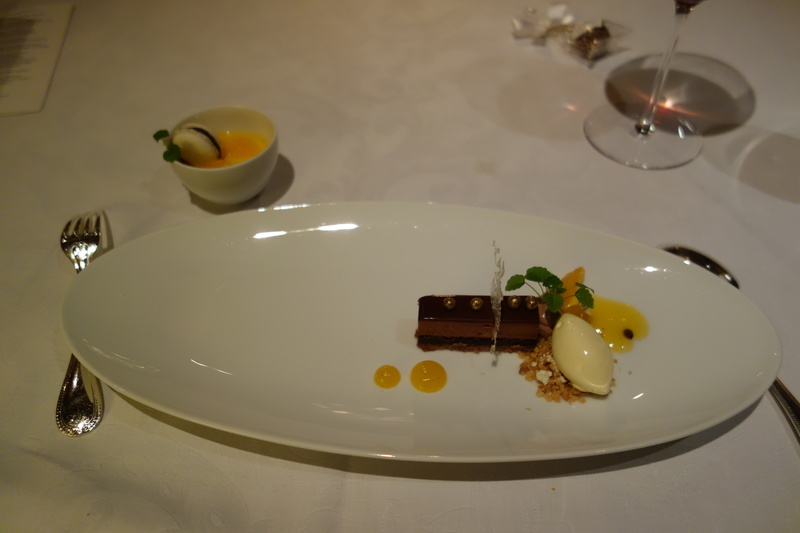 While the macaron was soggy and dunked like a Oreo into mandarin sauce (it baffles me why), the rest was pleasant if non-descript. 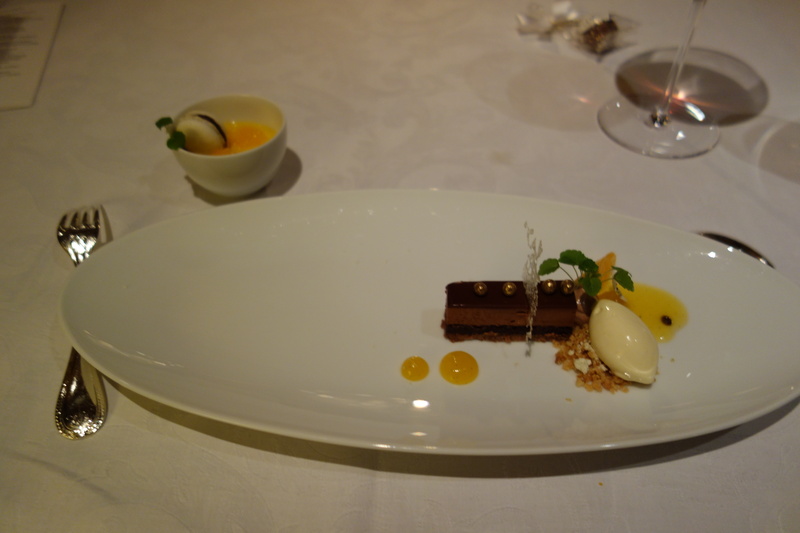 The chocolate cake was served with a passionfruit sauce. 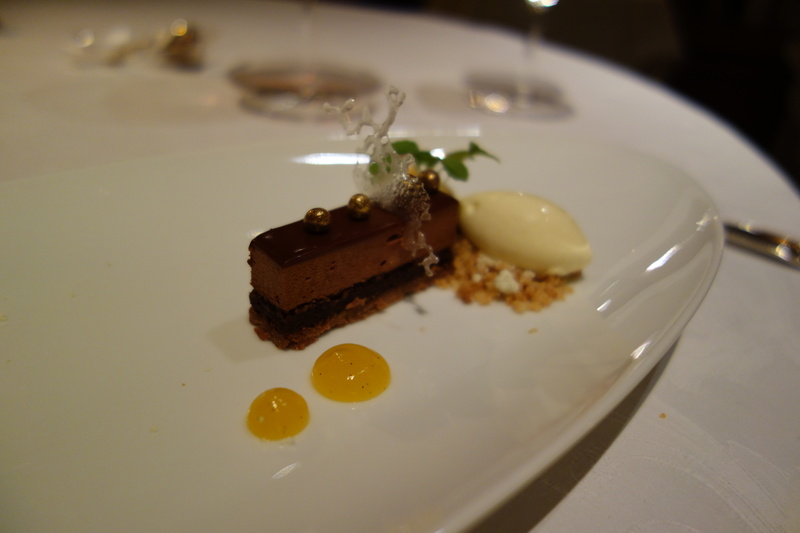 Dessert was not one of the great strengths of Bareiss tasting menu, but it was a minor blip in this meal, and the dessert in the next meal was much stronger. 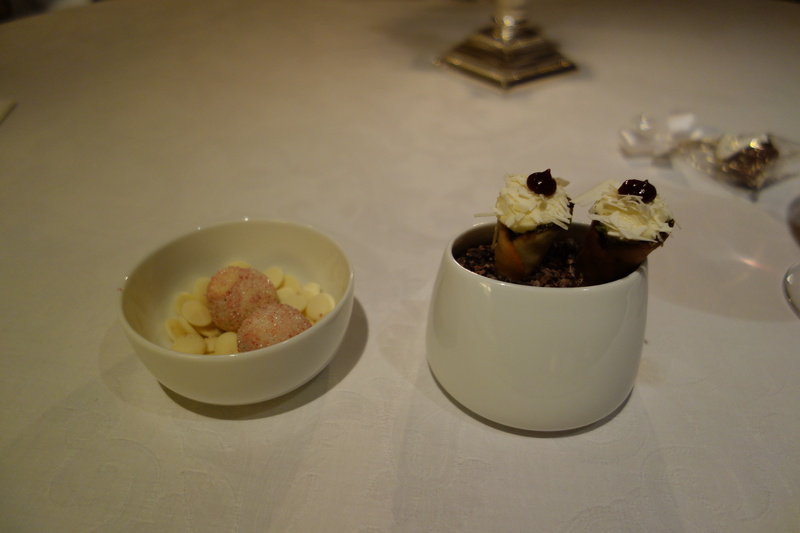 “Blackforest cake” cornets and white chocolate rum bonbons. 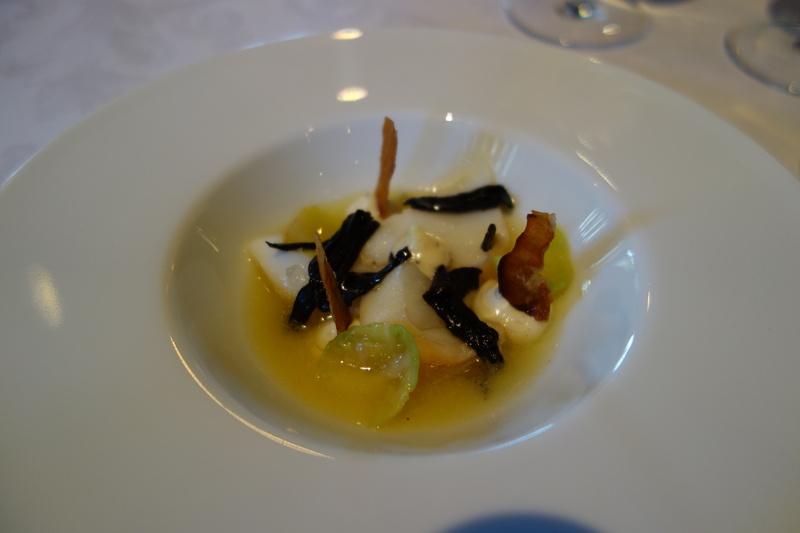 Warm amuse: Cod poached in olive oil with black forest mushrooms with bits of bacon glass, where the bacon was rendered crisp and translucent (4.75). Excellent. 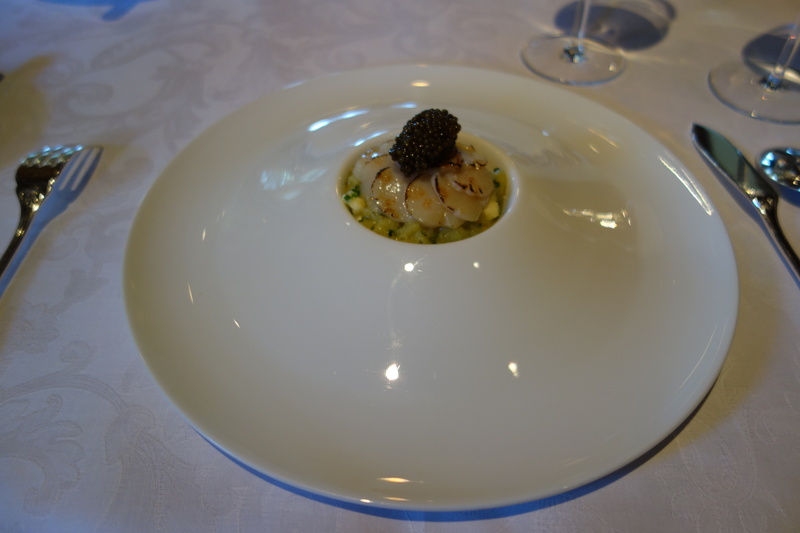 I opted for a different preparation of scallops from the a la carte menu. 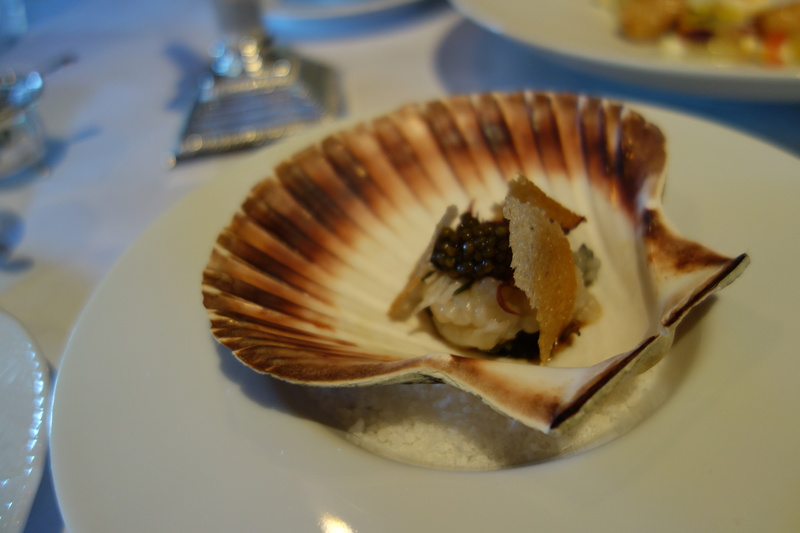 The scallop ensemble had three interesting themes. 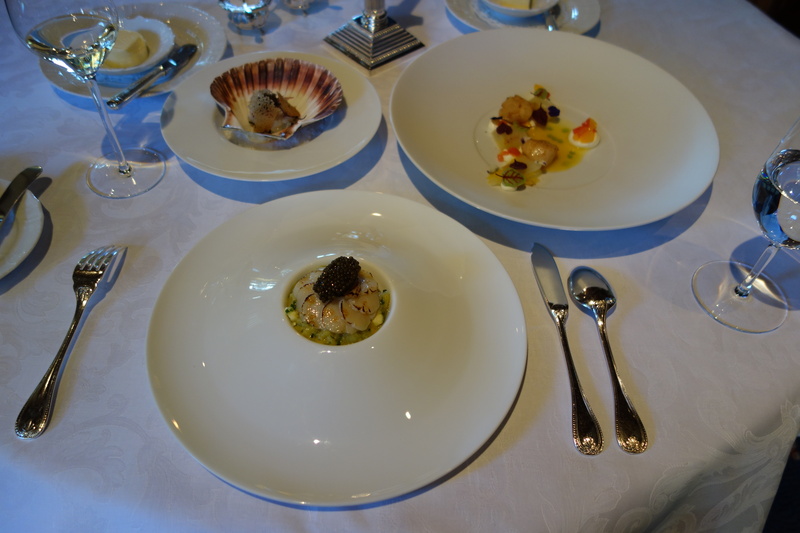 The first (A) was classic French – a cut rosette of scallops with rich caviar, and served on a potato gratin; the second (B) was Japanese – barebones with only a scallop tartare, soy and seaweed to mark is at Japanese – served with a crisp sesame tuile; the third (C) was in the vague international style, (or a synthesis?) 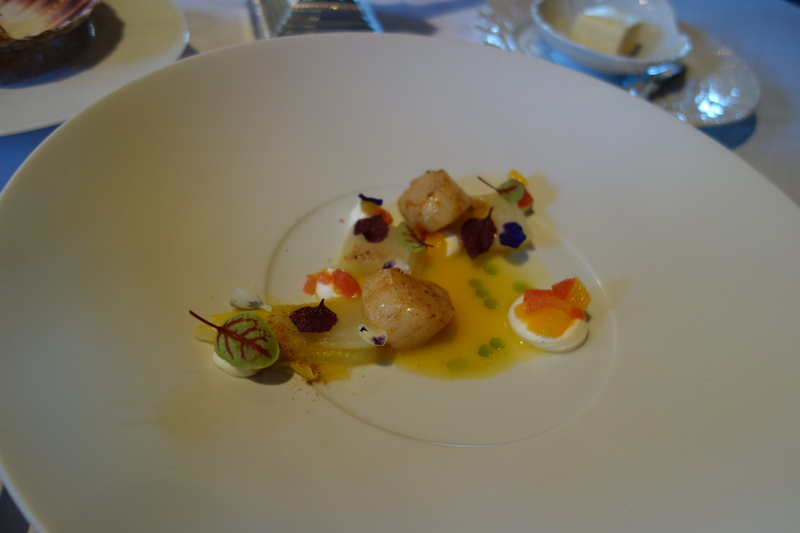 between the two, fried scallops with endives and citrus such as grapefruit, the kind of dish that could have been served in any restaurant in the world, due to the ubiquity of ingredients and minimal stamp or style on the ingredients. 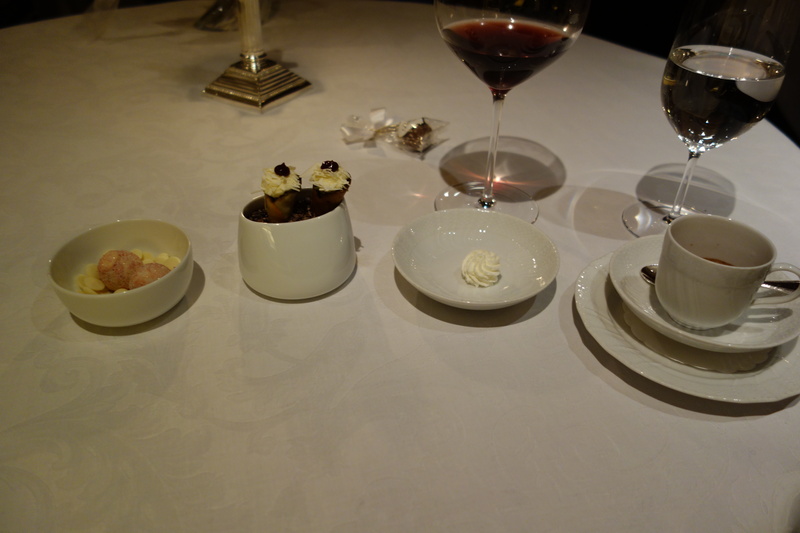 Of course, the best was the classic preparation (A), on the strength of that, I rate the ensemble 4.5/5. 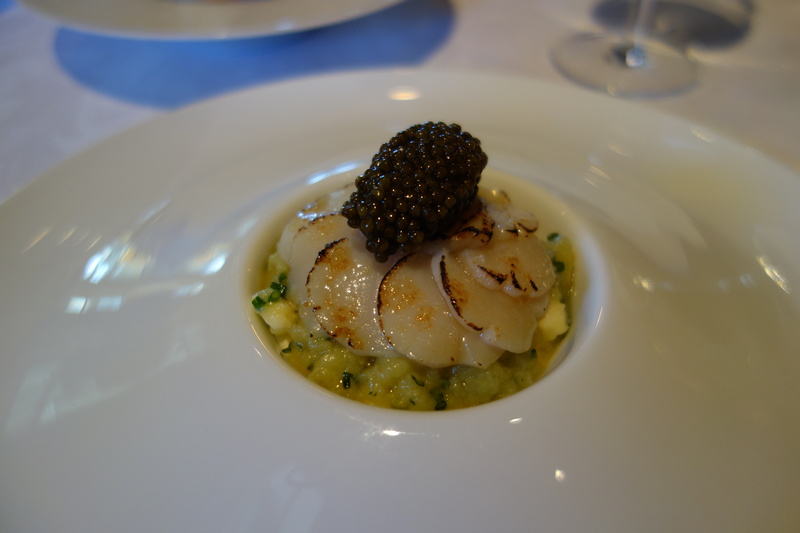 Overall the scallops were sweet and firm, though they didn’t have the most crunchy of textures, which is expected because as mentioned above, Bareiss only takes twice weekly deliveries from Brittany. 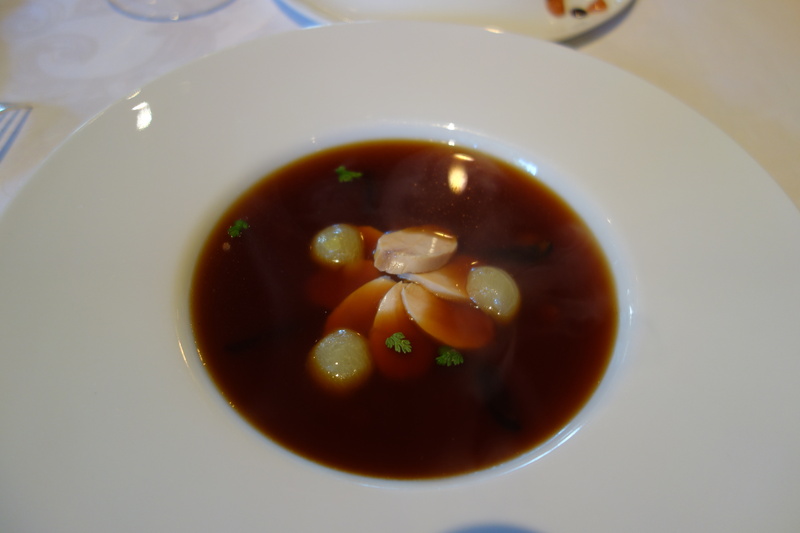 Soups at Bareiss are split into a heartier soup and a lighter soup. 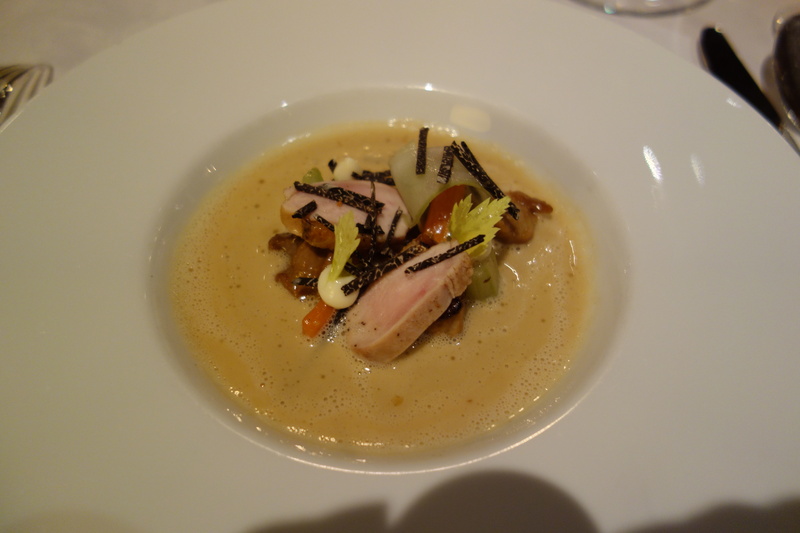 I chose the lighter option of pheasant consomme over cream of chestnut soup. 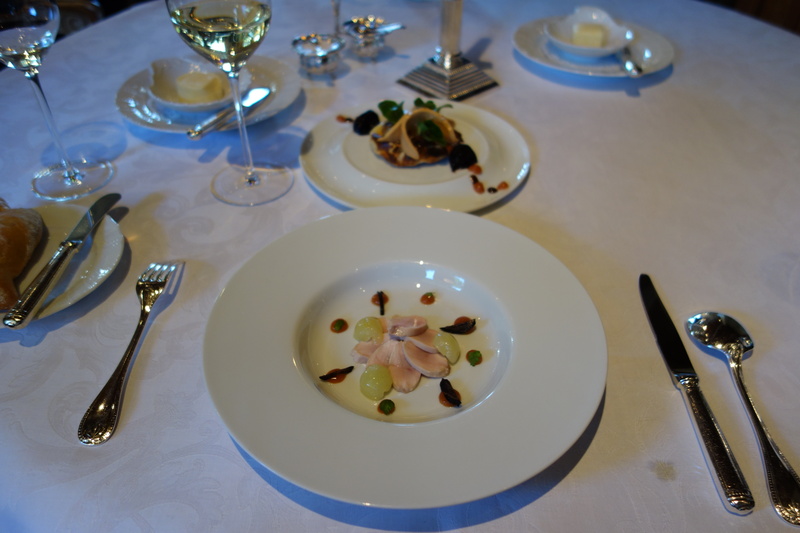 The preparation here was hearty French, with touches of elegance, such as unskinned grapes in consomme. 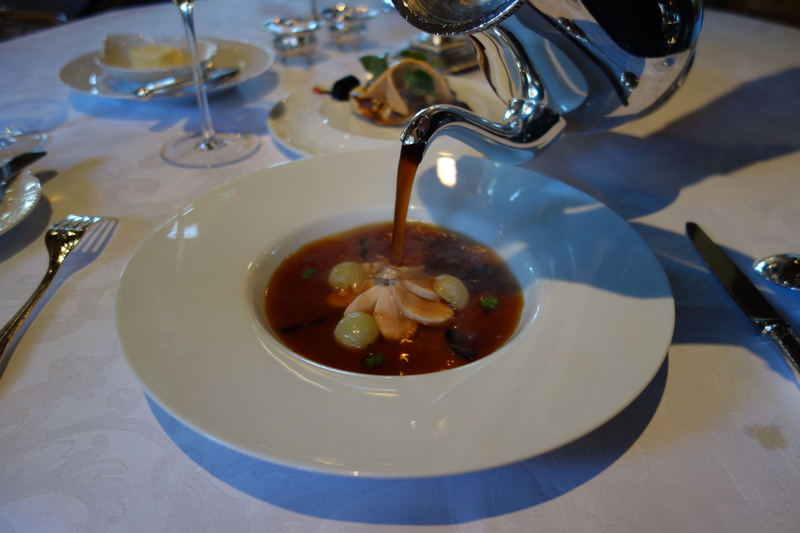 (A) The pheasant soup, with unskinned grapes, was a hearty one. 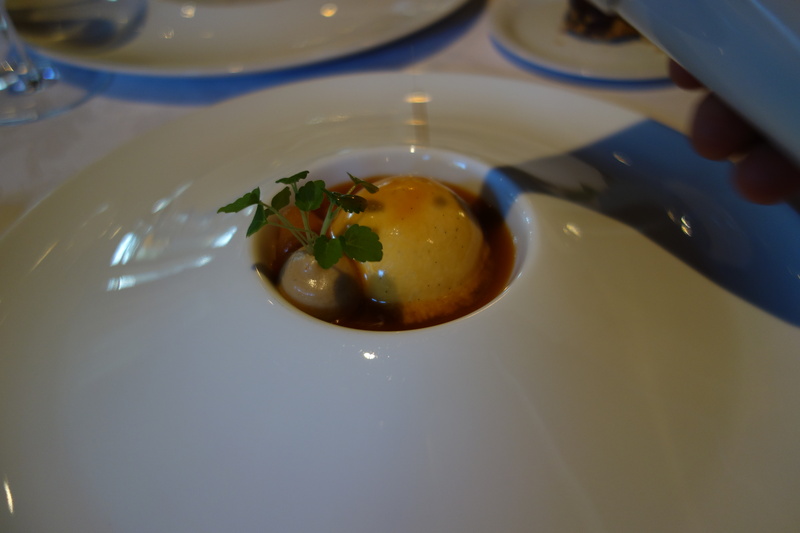 The breasts retained a delightful crunch as the hot soup was poured on top. It was clear and restorative. 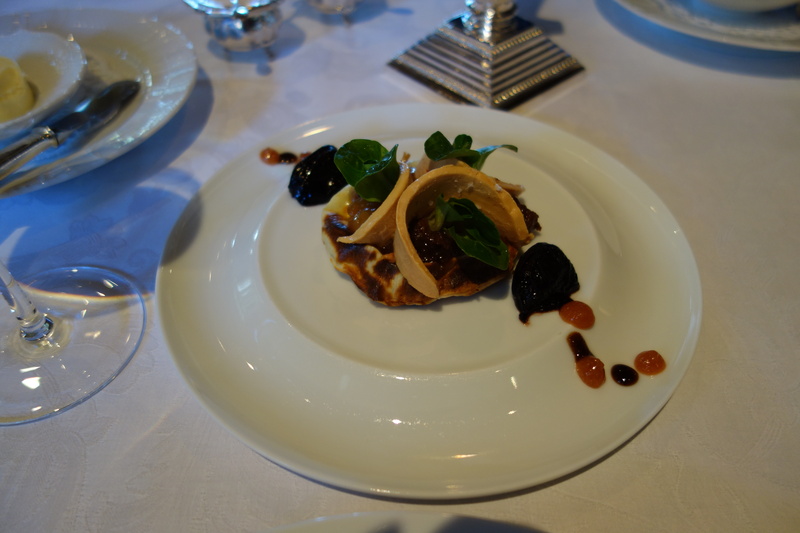 (B) The plum-pheasant tarte flambee was textbooks, with an enviable crispness. The tarte must be heard to be believed, a knife through its heart produced a crackling that resounded through the small restaurant. 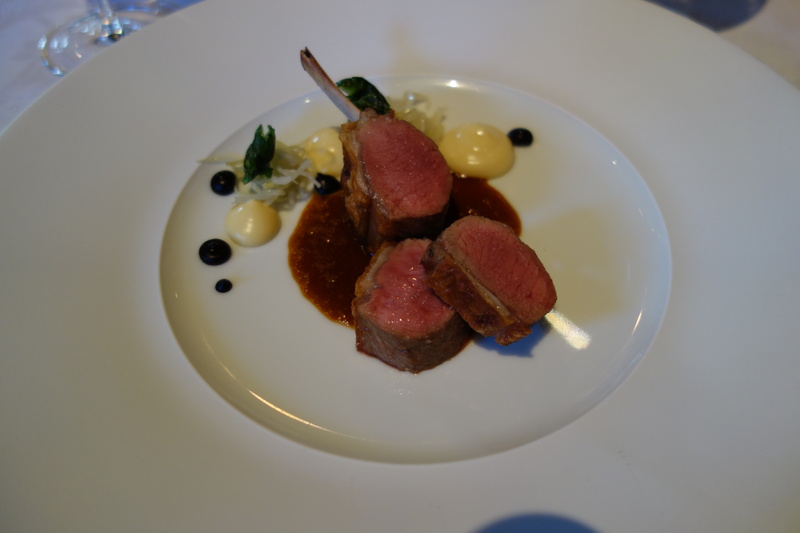 Overall – (4.25/5) The lamb, grown in the Albler heath (Wacholderheide means heath) was the recommendation of the manager. The overall theme of this ensemble was vaguely Indian. 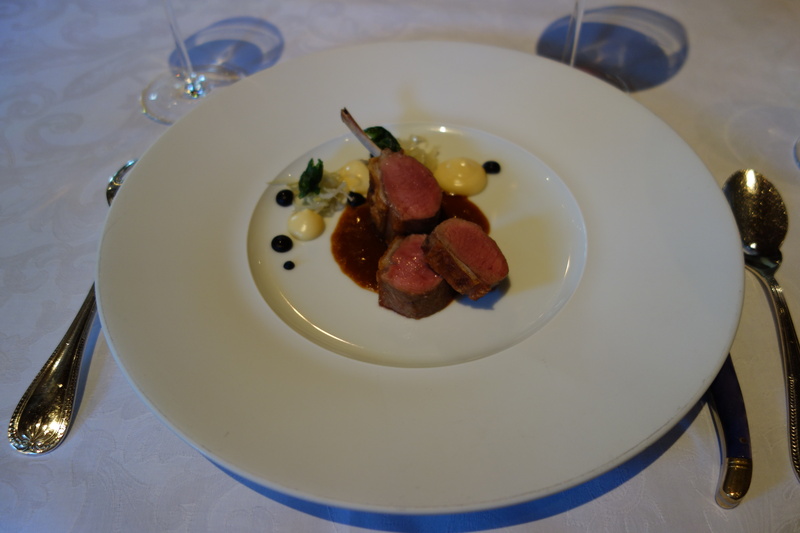 (A) The first preparation was a crackling crisp lamb chop, delicious on the bone. 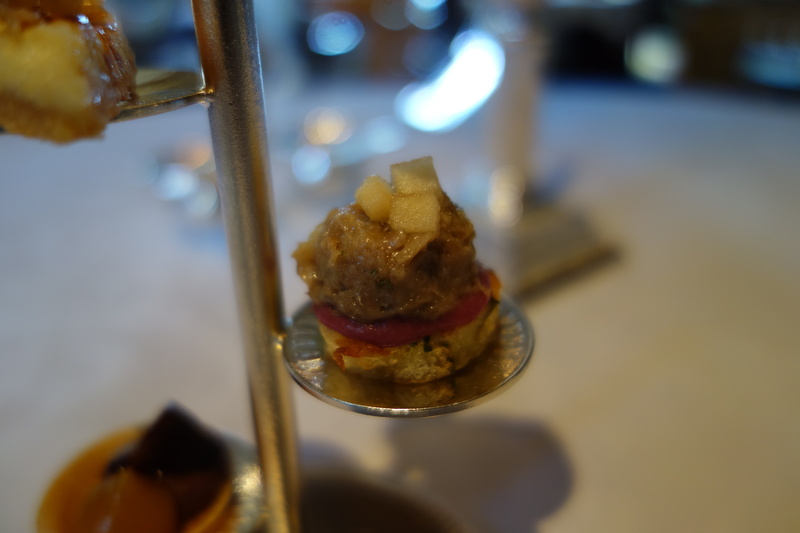 (B) A soaked focaccia with lamb shoulder, sweetbread, aioli and red onions was an onslaught of richness, only alleviated with pickled onions. 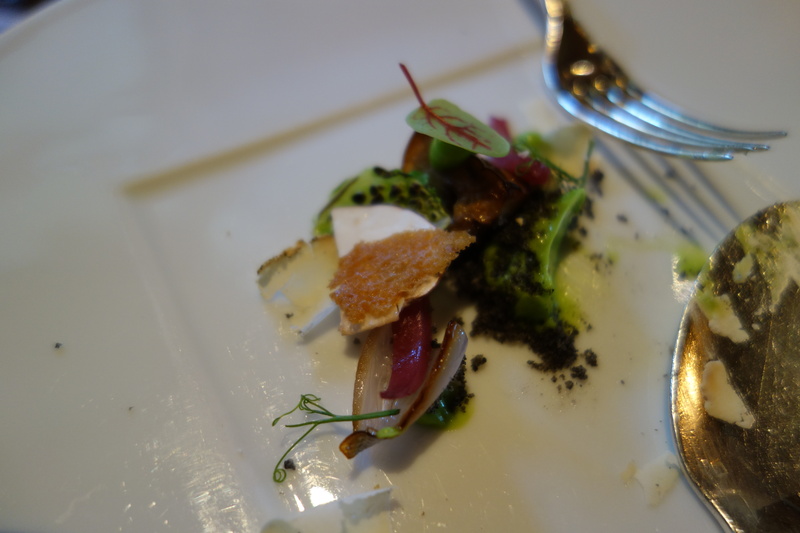 The sauce was savory, with pickled onions to cut the richness. Very good. 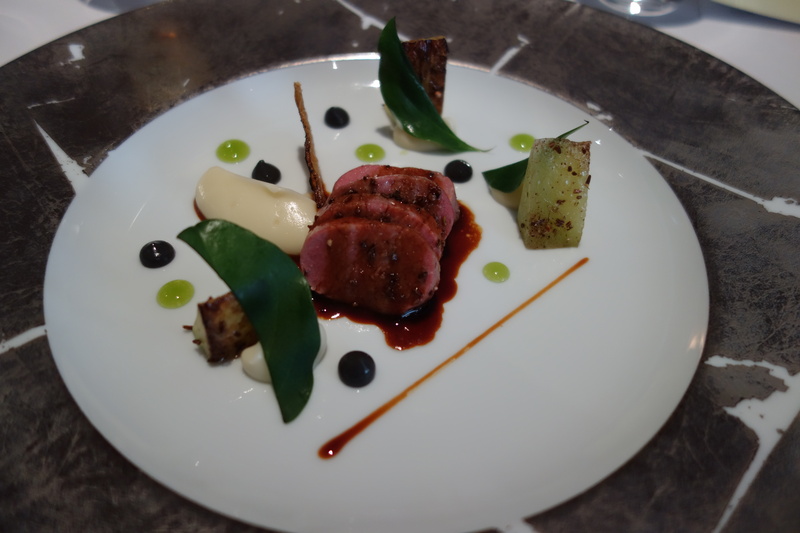 The (C) slices of lamb breast were perhaps the weakest of the ensemble, which was served with tandoori sauce puree. It was nothing more than it sounds. 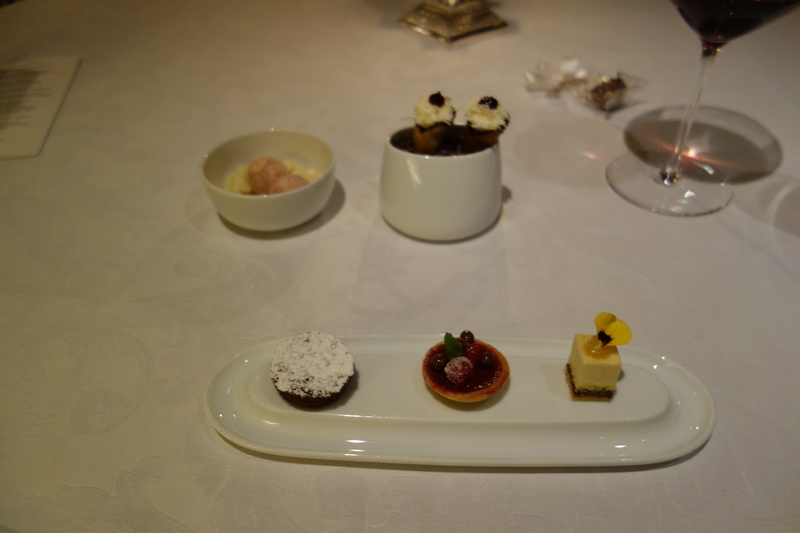 I was also getting stuffed at this point, which may have interfered with my enjoyment a bit. My reference high-end “Asian lamb” dish is still the Fat Duck’s reinterpretation of a lamb Kebab) If I were to nitpick, I would say the weakness of this dish is that it wears its theme (Indian) in too safe a way, the heavy sauce is exactly how it would be served in an Indian restaurant, albeit in an Indian restaurant it would have been in curry form. 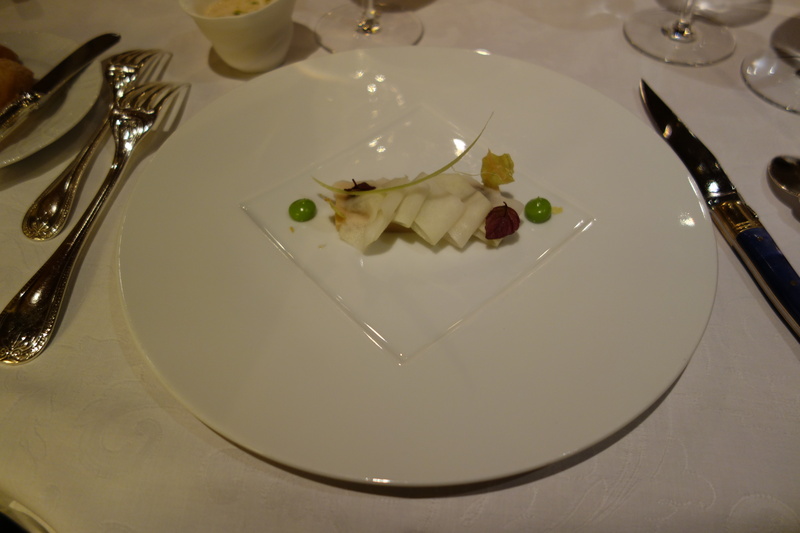 The imaginative leap is not as far as it was in the Fat Duck (cucumber & green pepper oils to lighten the dish, instead of vegetable slices). 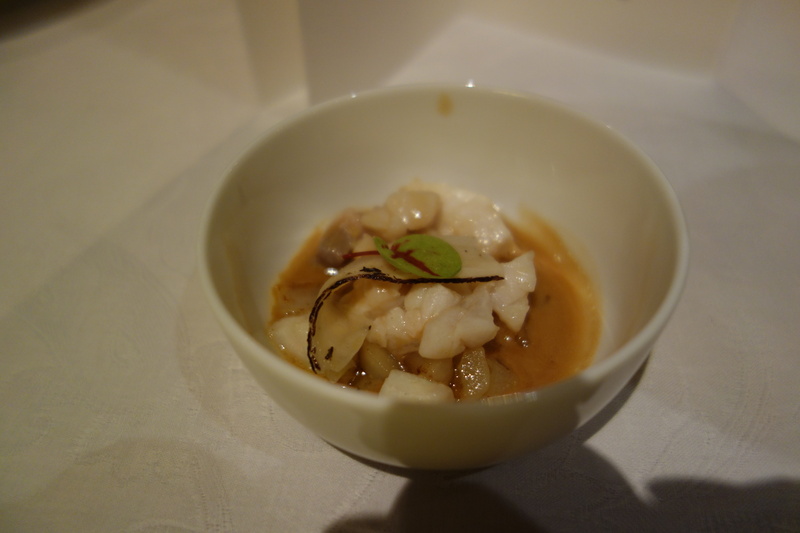 It is a similar theme with the Japanese preparation of scallops, these two “Asian” preparations were obvious and imitative of food you could conceivably get in an Indian or Japanese restaurant. 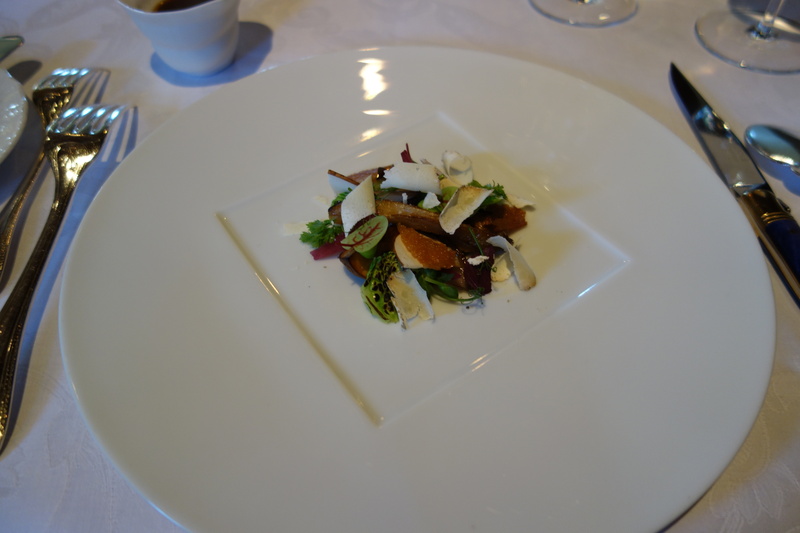 But not to dwell too much on it – Bareiss is after all, a restaurant that caters mostly to a local French and German clientele, and the chef’s strong suit is not his international cooking but his interpretations of classical cuisine. 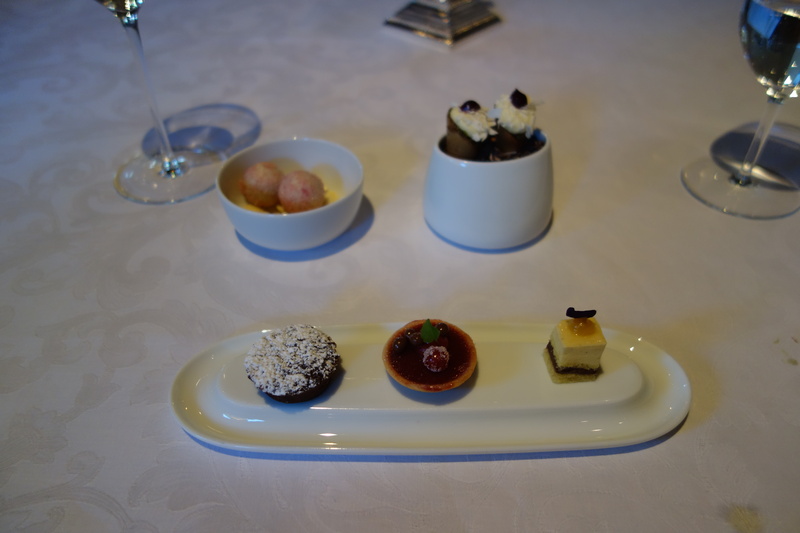 The dessert ensemble, was a step up from the previous day. 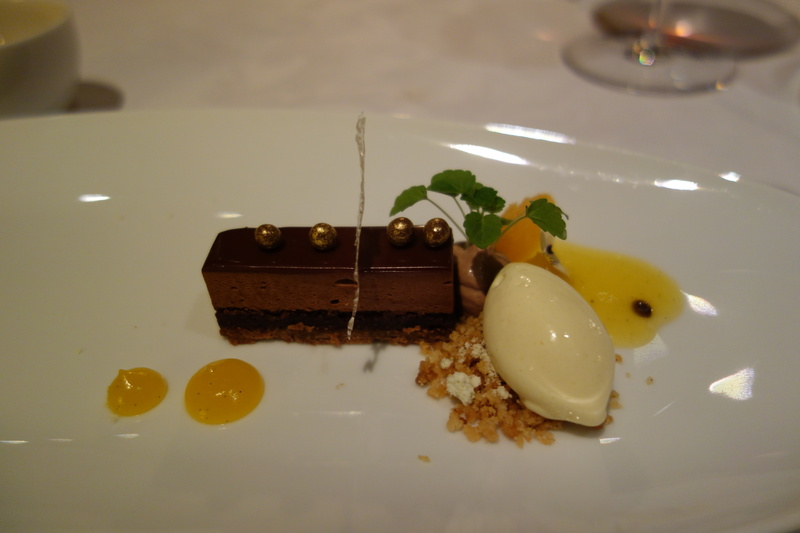 I chose Apple over the three C’s Chocolate, Citrus fruits, and Curd and exotic Fruits, because I wanted something classic. It delivered. 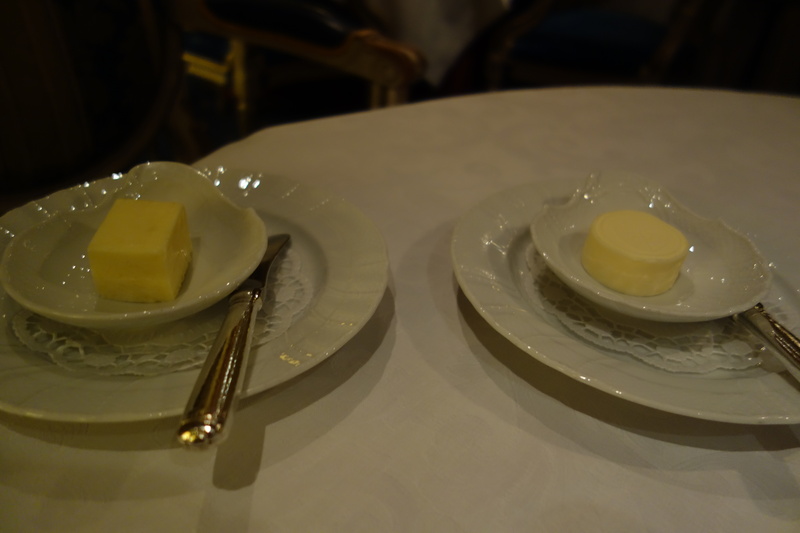 (A) The first preparation of baked apple sorbet with a slice of braised apple and butter biscuit cream was a pleasing melange of the flavors of apple pie. 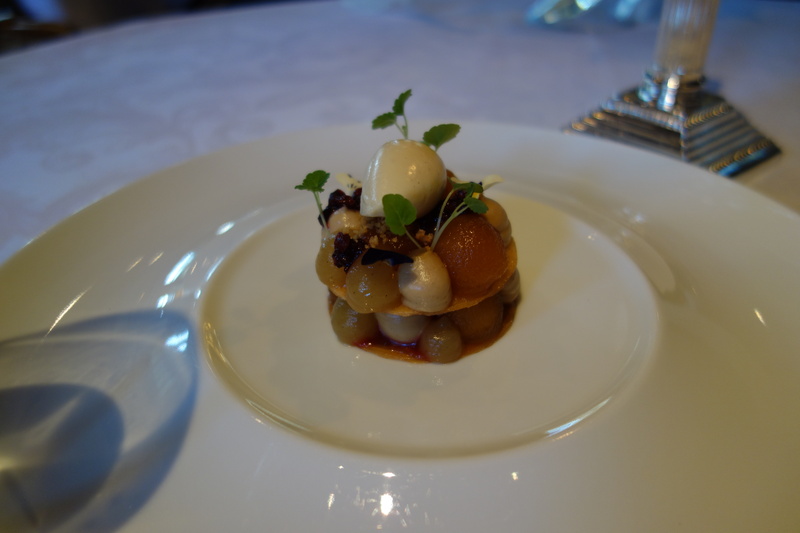 But the highlight of the ensemble belonged to (B), which was an even better interpretation of apple pie, a structurally pleasing tower of different types of apple, arranged onto two discs of wafers and topped with vanilla ice cream. 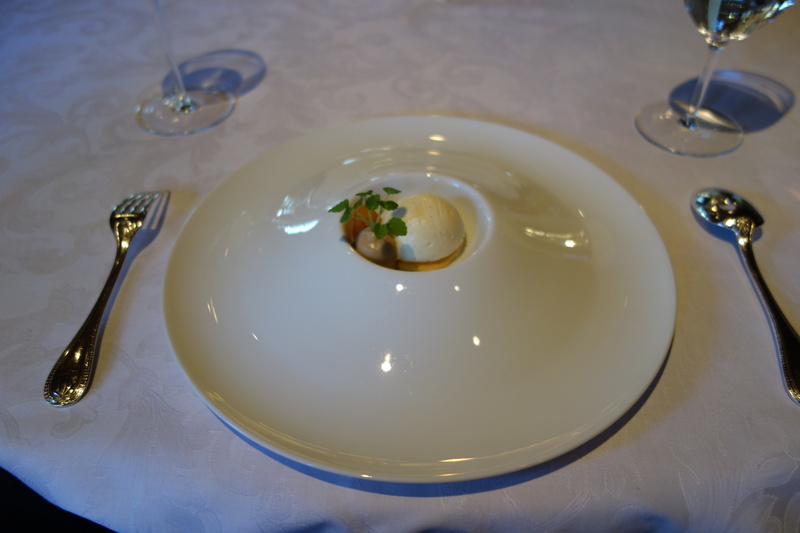 The crispness of pastry, the varied crunch of different apple (the best desserts are often the richness of different fruits cooked differently and reassembled), it needs nothing more than vanilla ice cream to be perfect. 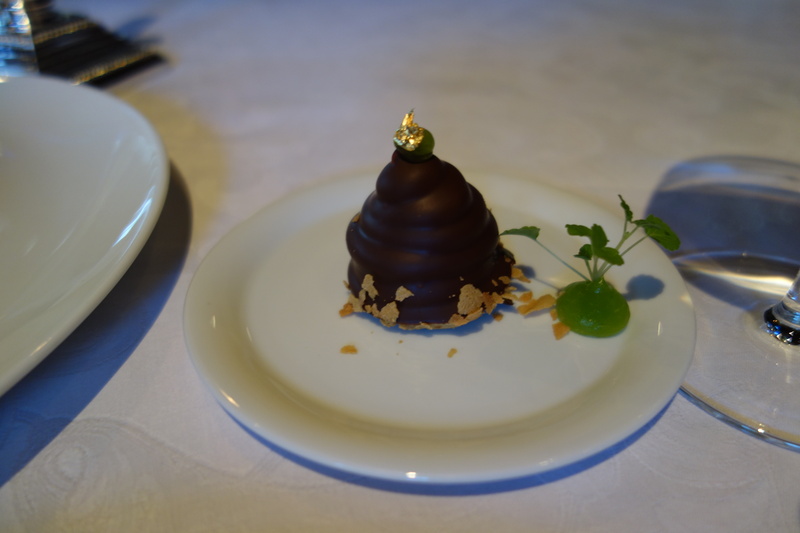 (C) the last preparation was more a coda than anything else, a technically impressive green apple foam, somehow maintaining enough structural integrity to be coated with chocolate.